Japan has a history of doing things its own way and with a sense of style and design different from any other country. As a result, the fascination with Japanese culture is endemic in the West, but not many people know about the country itself. 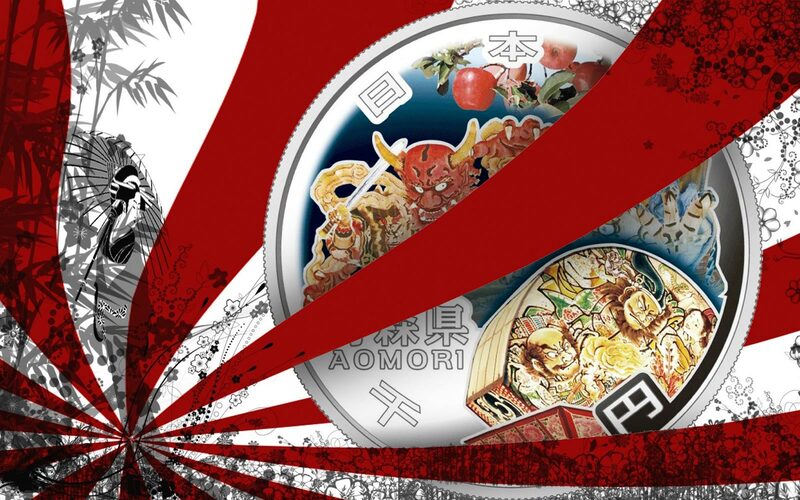 The Japan Mint has gone a long way to correcting that lack of knowledge, amongst coin collectors at least, with a terrific series of coins being released over eight years, starting back in 2008. 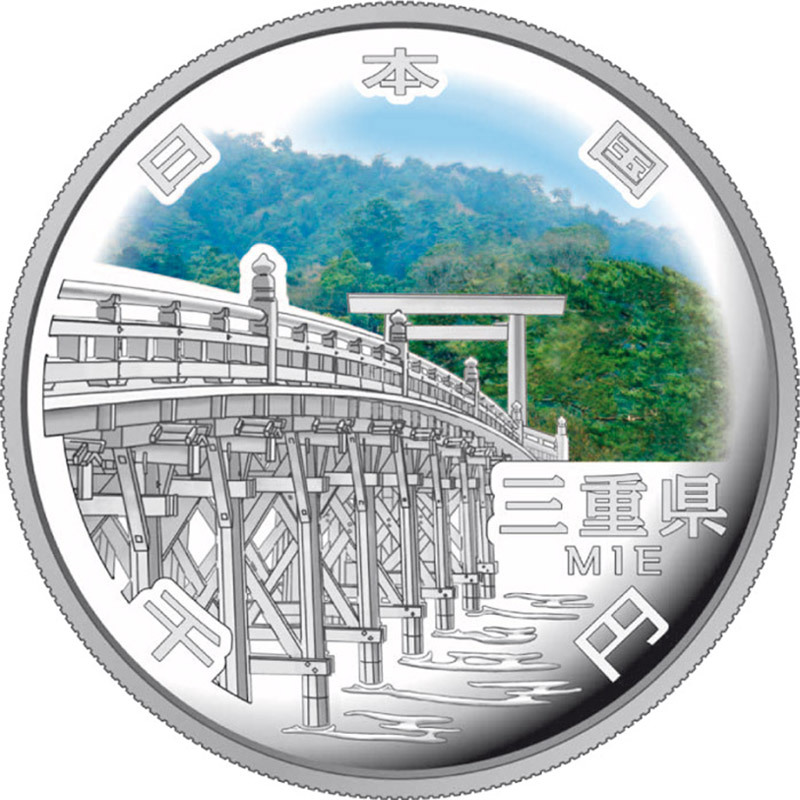 Each coin showcases one of the 47 Prefectures that make up mainland Japan with an image that best illustrates what makes the districts unique. The 1,000 Yen denominated coins are composed of 1oz (31.1g) of 0.999 silver and measure a healthy 40mm in diameter. 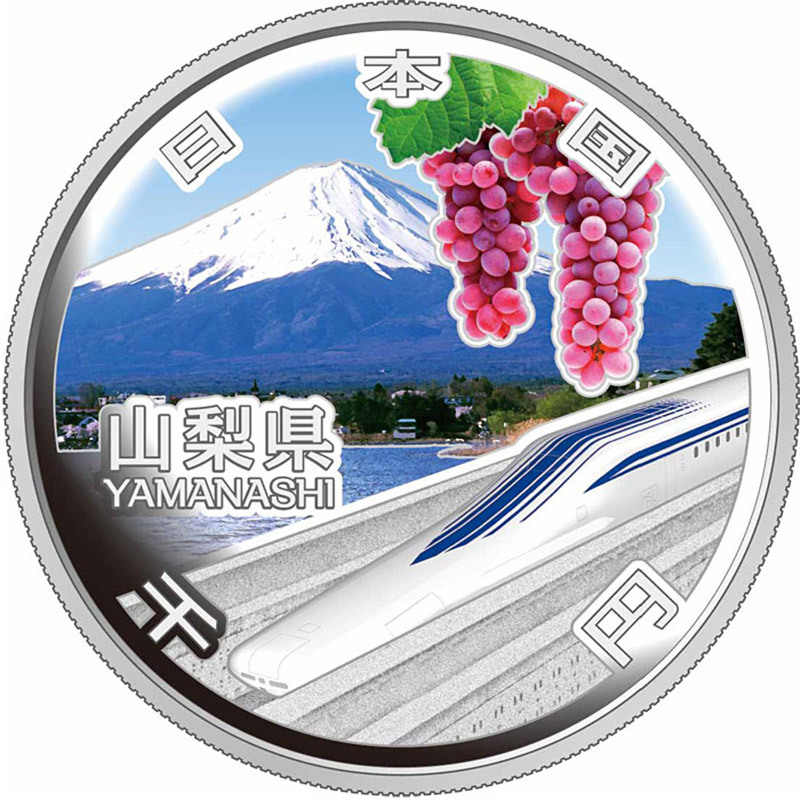 Struck to a proof finish and then selectively coloured, the reverse bears the name of the specific prefecture and the edge is helically ridged. The obverse remains the same throughout the series, having a mix of Snow Crystals, Moon and Cherry Blossoms. Latent image technology is applied to the center of the largest snow crystal to make letters of “47″ representing the number of prefectures in Japan, and “60″ representing the 60th Anniversary of Enforcement of the Local Autonomy Law appear alternately when viewed from different angles. The date at the bottom starts at 20 and will end at 28. This is because the Japanese calendar system works back to the death of the previous Emperor, in this case Hirohito, who was posthumously renamed “Emperor Showa” as his calendar period was known as the Showa period. 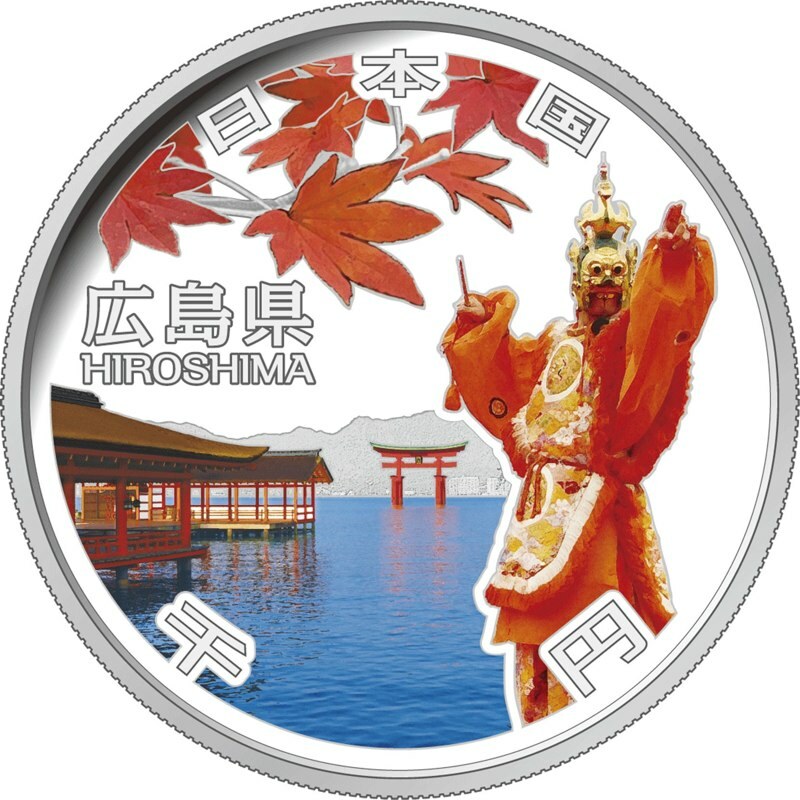 The current calendar is known as the Heisei one and started when Hirohitos son, Akihito, became the Japanese Emperor in 1989. Thus 2008 for example, would be Heiesei 20, being the 20th year since the calendar started. 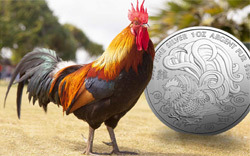 The mintage of each coin is set at 100,000. 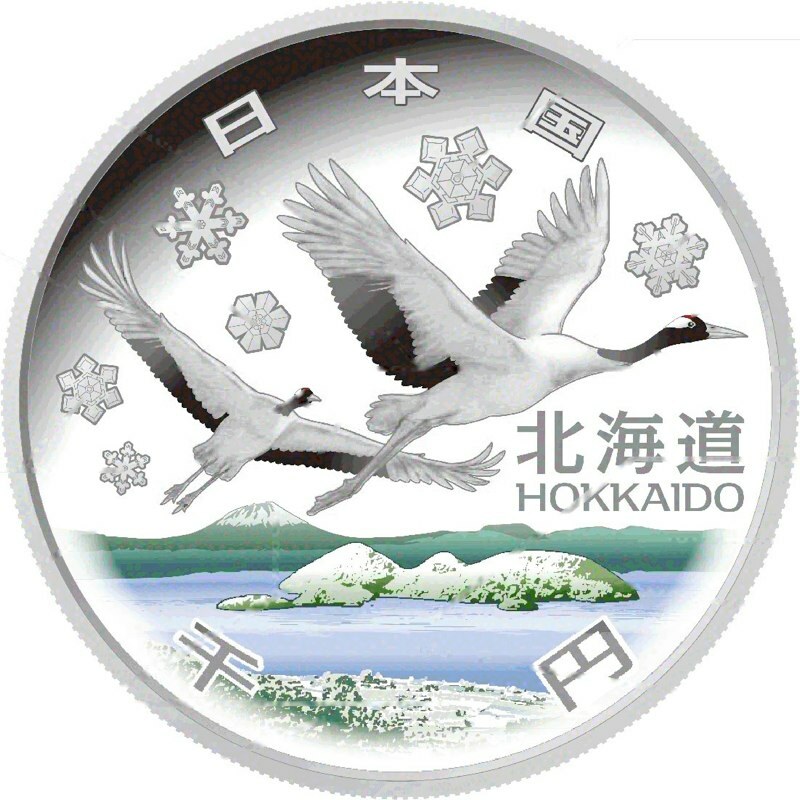 Hokkaido is the largest and most northerly prefecture in Japan. Hokkaido’s development began in 1869 with the establishment of the Hokkaido Development Commission. Over 130 years have since passed, Hokkaido has seen significant development. Sapporo, the capital city of Hokkaido, is the fifth-most populous city in Japan and lies at 43 north latitude, almost the same as Boston, Sarajevo and Monaco. This island prefecture is full of nature, so it plays an important role as the largest food supplier and tourist area. Not only a lot of Japanese tourists but also a lot of foreign tourists arrive there and enjoy Hokkaido! Old capital, Kyoto, was founded in 794, and since then it was always the capital of old Japan through the Heian, Kamakura, Muromachi, Azuchi-Momoyama and Edo periods for more than one thousand years. 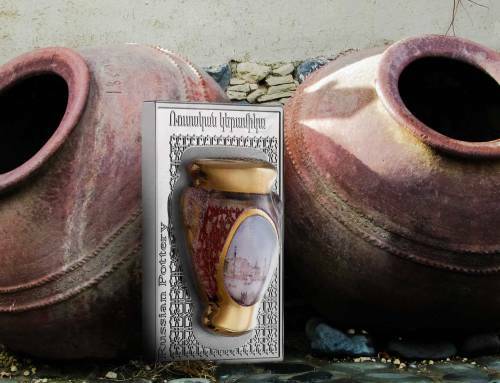 Historically and artistically valued temples, shrines, gardens, etc. 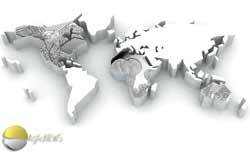 are attracting a number of visitors from home and abroad. Some were registered as a World Cultural Heritage Site, and you can taste old Japanese culture in Kyoto. 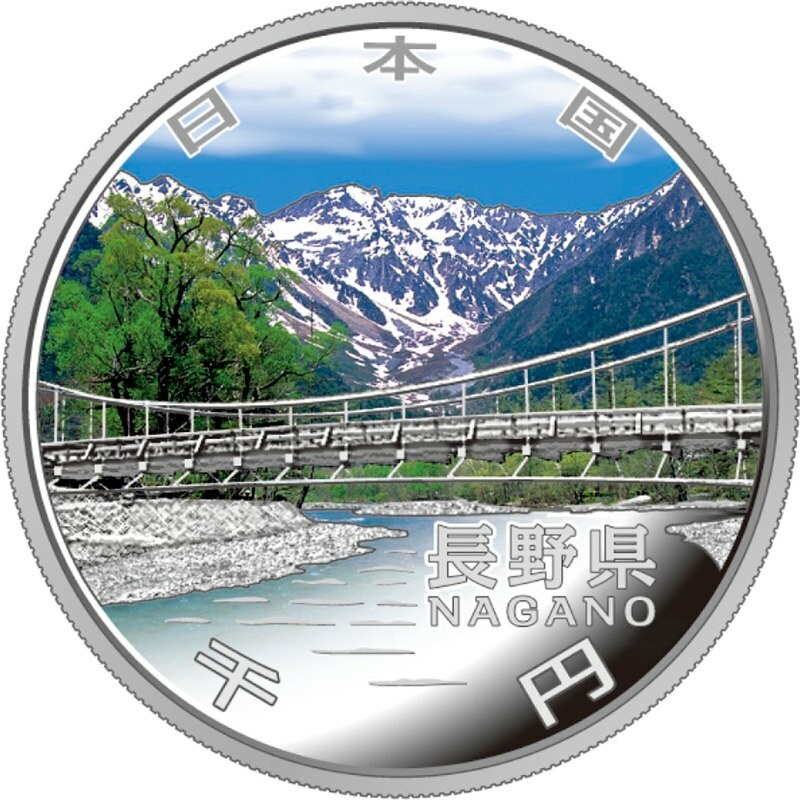 Nagano is famous as the site for the 1998 Winter Olympics. This 4th largest prefecture is located in the central region of Japan’s mainland and faces 8 prefectures, the largest number among other prefectures. Nagano is surrounded by mountains standing 3000 m above the sea level, and they are called the Japan Alps. Niigata is located on Japan’s main land on the coast of the Sea of Japan. The major industry in Niigata is agriculture. Especially Niigata is famous for its rice production, ranking second after Hokkaido. In winter, this area is hit by heavy snowfall. 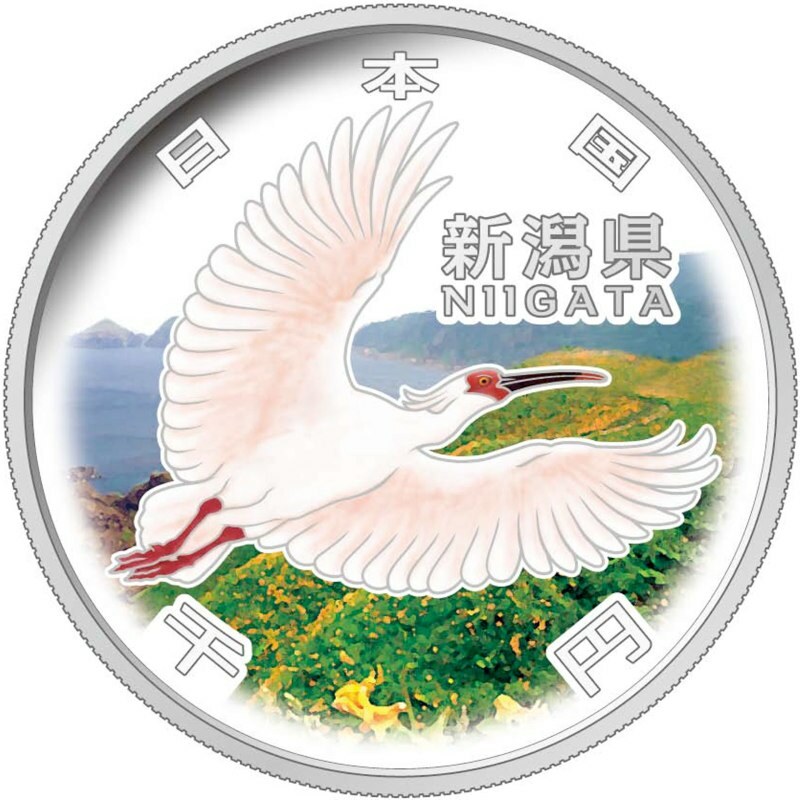 (Obverse design: Japanese Crested Ibis and Sadogashima Island) Japanese crested ibis is a special natural monument of Japan and an internationally protected bird. 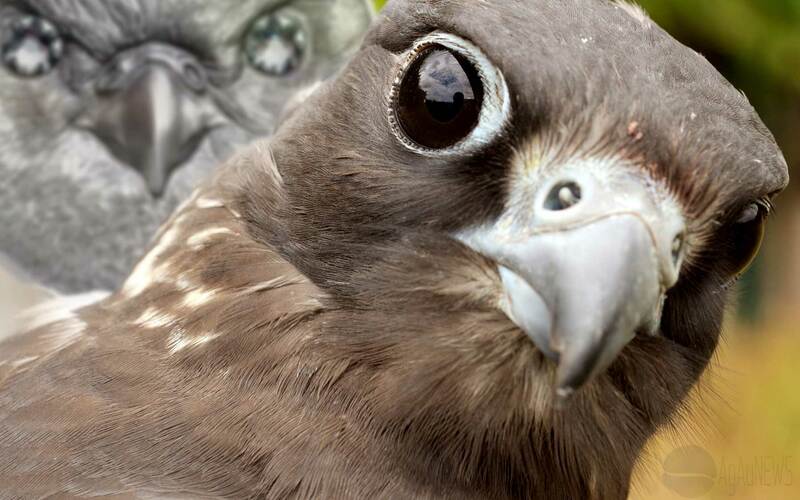 The scientific name of this bird is Nipponia Nippon (“Nippon” means Japan). 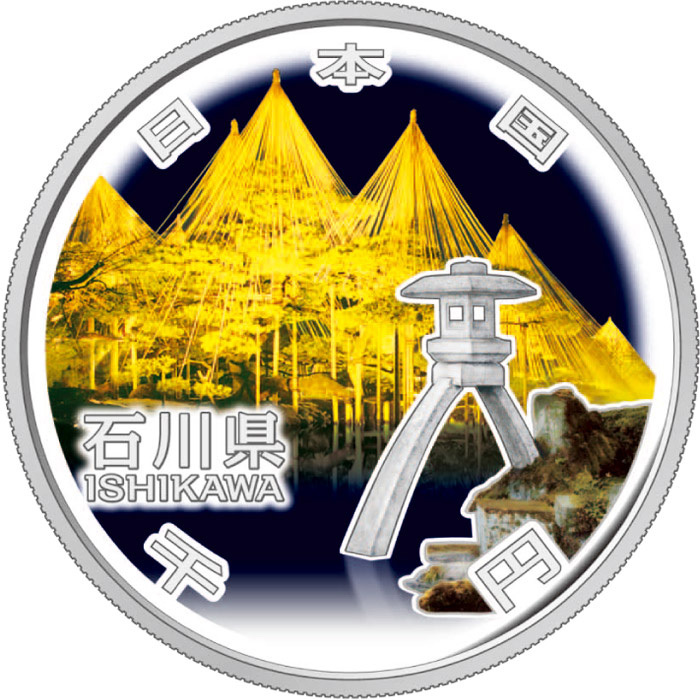 Sadogashima Island is famous for its gold mine. A lot of gold was mined, from four hundred years ago until twenty years ago in Sadogashima Island. Ibaraki is located in the northern part of the Kanto region close to Tokyo. Ibaraki takes pride in its traditional culture and nature, as well as in being a center of science and technology in Japan. The H-II (H-two) Launch Vehicle was the first rocket produced in Japan using only domestic technologies. It is also a symbol of Tsukuba Academic New Town in Ibaraki prefecture. 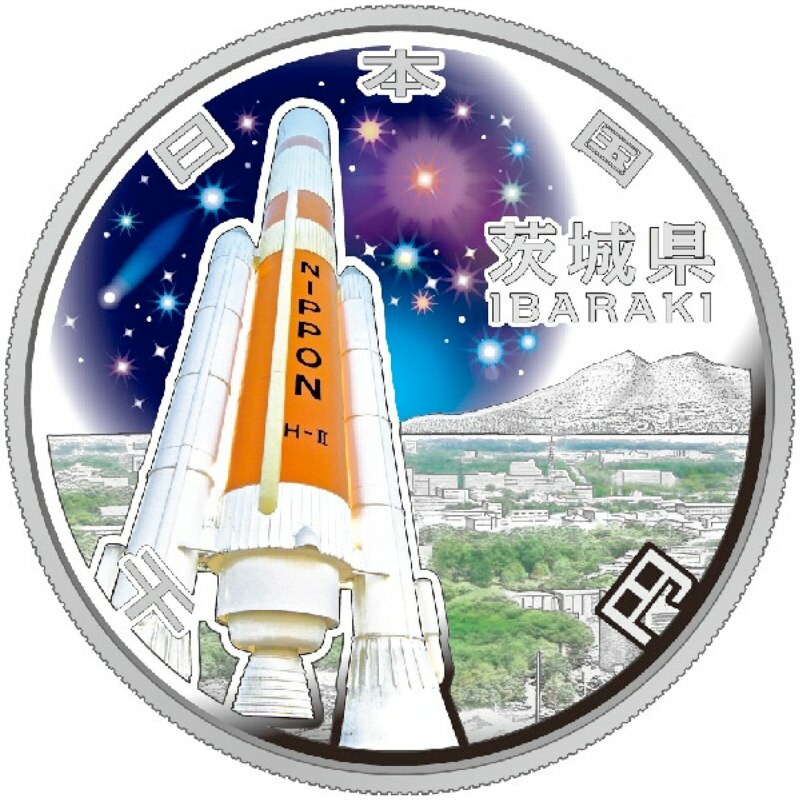 The rocket was developed at the National Space Development Agency of Japan, the predecessor to the present Japan Aerospace Exploration Agency, in this town. Mt. Tsukuba is admired for its graceful shape and is often compared with Mt. Fuji. It is designated as one of the one hundred famous mountains in Japan and is also known for its rare insects and plants. Nara is close to Osaka city. Nara was the ancient capital of Japan, even older than Kyoto. In addition to Kyoto, there are many famous temples and shrines in Nara. (Obverse design: Daigokuden Seiden, Cherry Blossoms and Kemari) 2010 is the 1300th Anniversary of the Nara Heijo-kyo Capital. “Daigokuden Seiden” was the Former Imperial Audience Hall at Heijo Palace in the Heijo-kyo Capital, and is now being reconstructed. In those ancient days, the Emperor appeared in Daigokuden Seiden and national ceremonies were held there. Most of the Heijo Palace ruins have been preserved as a national historic site and a UNESCO World Cultural Heritage Site. 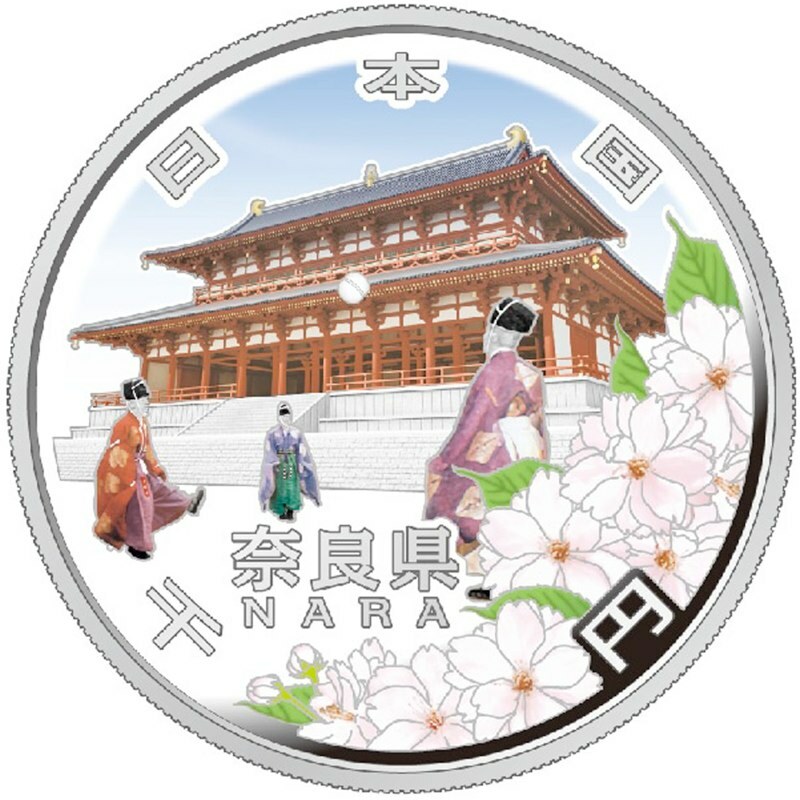 A type of cherry blossom called “Nara-no-yaezakura” is the prefectural flower of Nara. Literally translated, “Nara-no-yaezakura” means a double cherry blossom tree in Nara. “Kemari” is a ball game that is said to have come from China to Japan approximately 1,400 years ago and was played by aristocrats during ancient times in Japan. It has been passed down through the generations and is still played today. There are no winners or losers in this game, as the objective is simply to pass the ball to fellow players. Kochi is located in Shikoku Island and facing the Pacific Ocean. This region is known as its mild climate and rich nature. 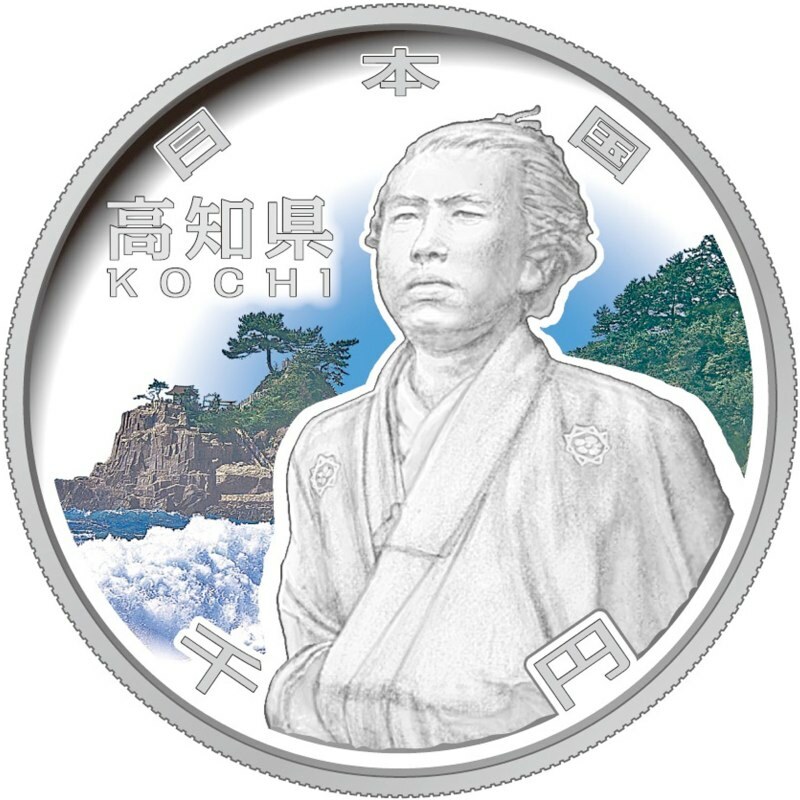 (Obverse design: Sakamoto Ryoma and Katsurahama) Sakamoto Ryoma is one of the most famous historical figures in Kochi, and the 175th anniversary of his birth will be celebrated this year, in 2010. 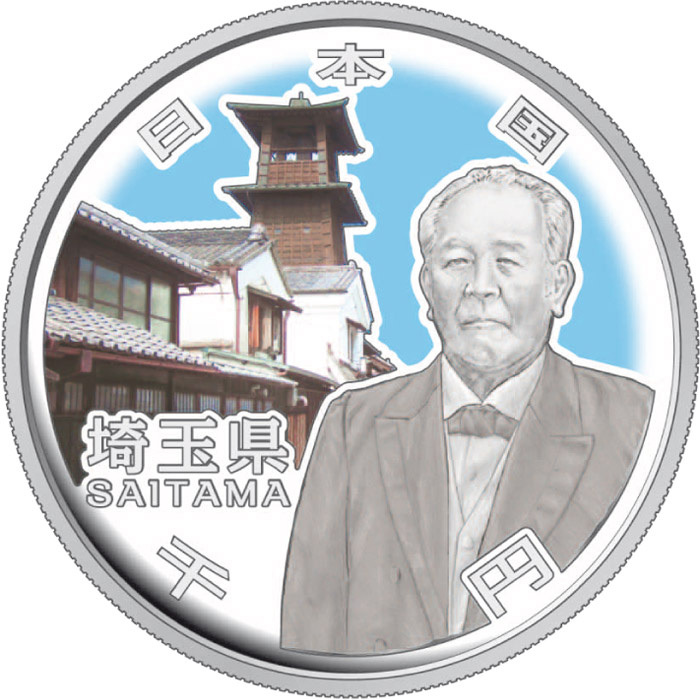 He made a great contribution to Japan’s modernization at the end of the samurai period in Japan. Katsurahama Beach is one of the most famous scenic spots in Kochi and also has long been known as a great location for Moon viewings. 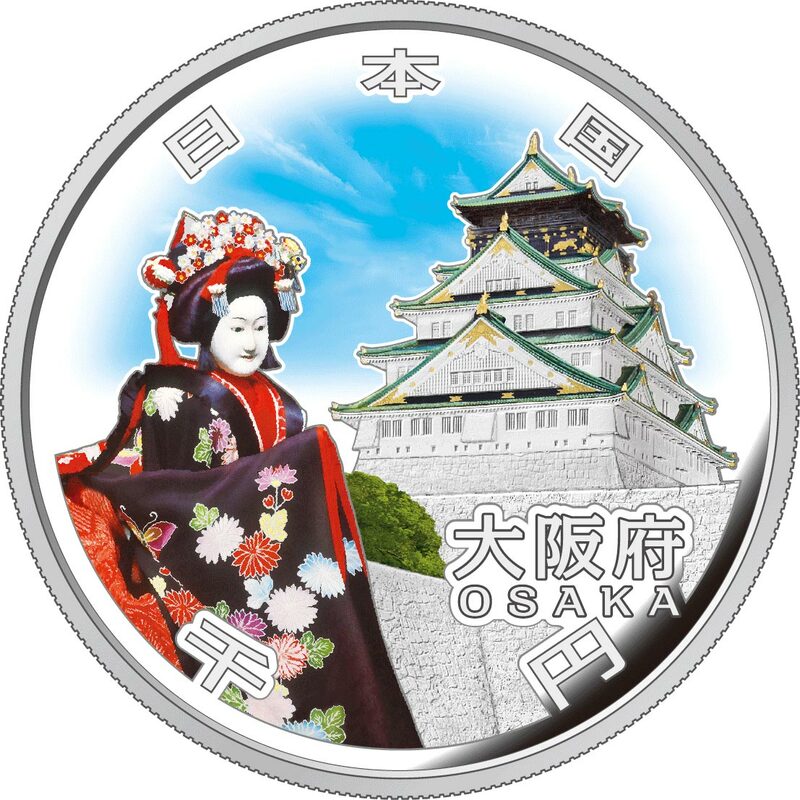 This silver coin will be the first ever coin among Japan’s coinage that will bear a real person’s effigy. Gifu is located almost in the center of Japan and out of Japan’s 47 prefectures, is one of only eight prefectures with no access to the sea. 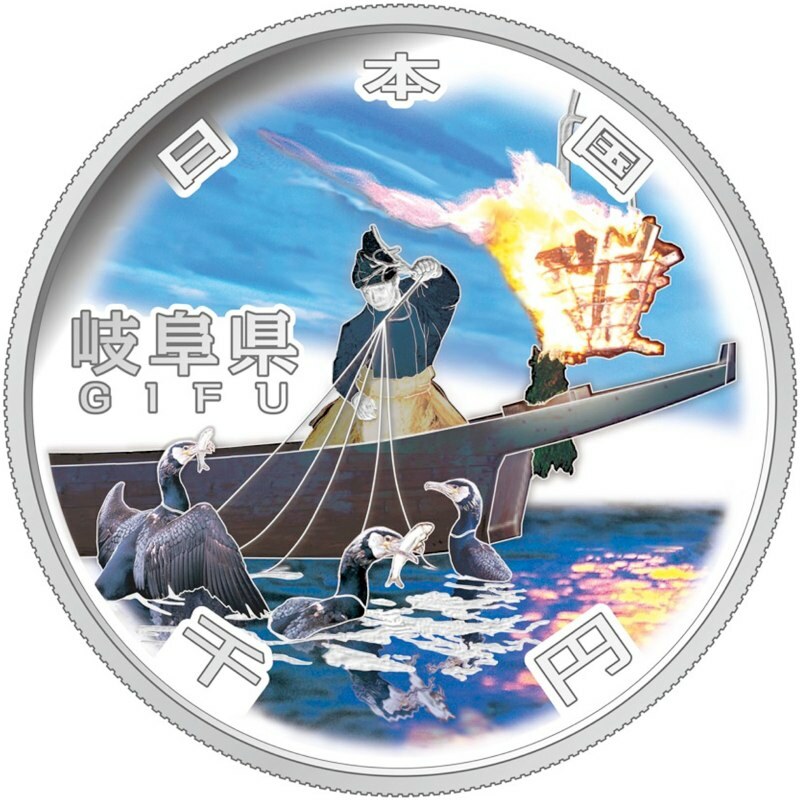 (Obverse design: Ukai (cormorant fishing) on the Nagara River) Traditional cormorant fishing on the Nagara River, with its long history going back around 1,300 years, is conducted from May to October every year, and is preserved by the Japanese Imperial Family. 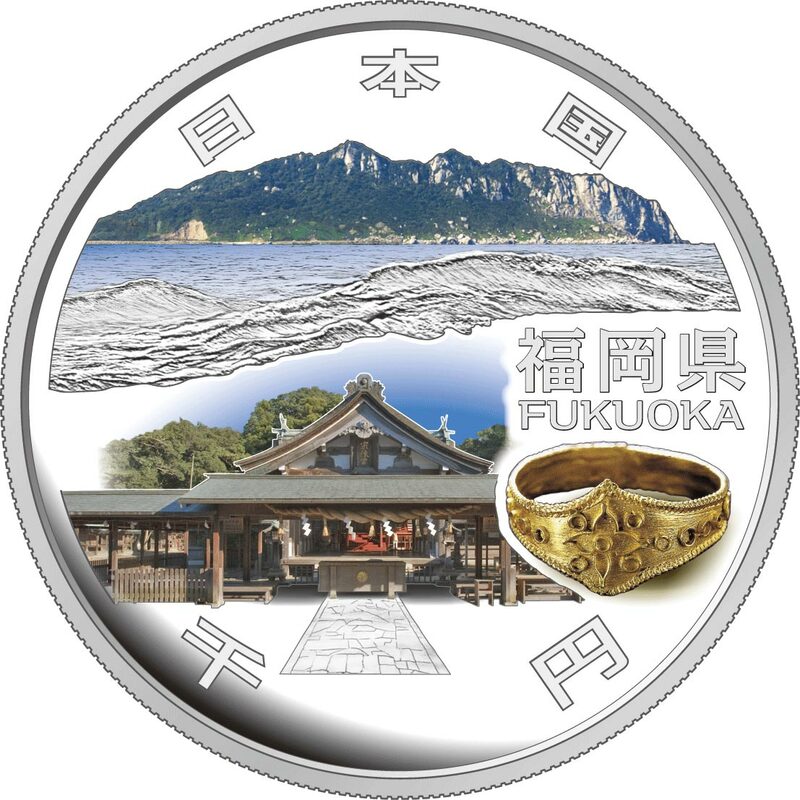 Fukui is located to the north of Kyoto and Gifu, and faces the Sea of Japan. Just like Gifu Prefecture, Fukui is often hit by heavy snowfall in winter. 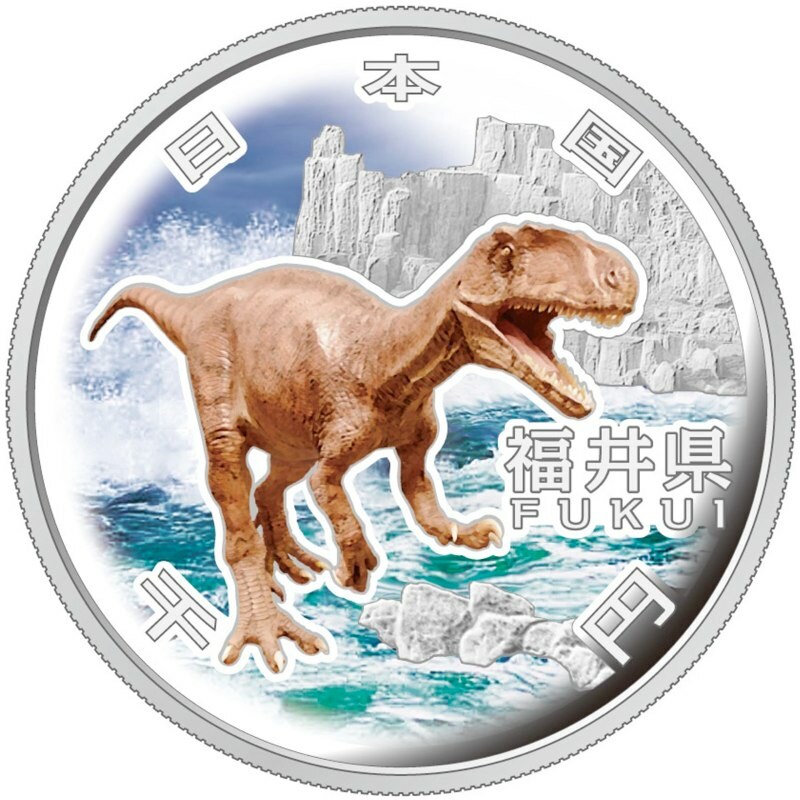 Obverse design: Dinosaur and Tojinbo) Up to now, more than eighty percent of dinosaur fossils in Japan have been discovered here in Fukui Prefecture. This dinosaur’s image was also recreated from the fossil remains which were discovered in Fukui. As a result of the study, this dinosaur was found to be a new species of meat-eating dinosaur from 120 million years ago, and was named Fukuiraptor. The landscape in the background is Tojinbo Cliff facing the Sea of Japan. This surreal cliff has been designated as one of Japan’s natural monuments. Located in the central part of the mainland Japan. 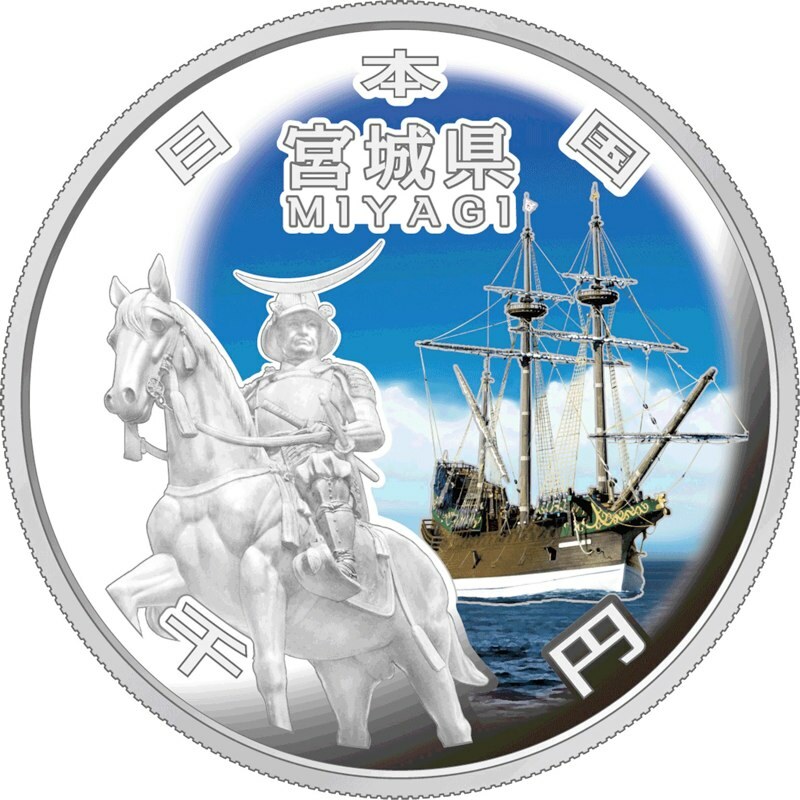 Three warlords who changed the course of Japan’s history during the 16th century, Oda Nobunaga, Toyotomi Hideyoshi and Tokugawa Ieyasu were from Aichi. Now, it has become one of the major industrial centers of Japan. 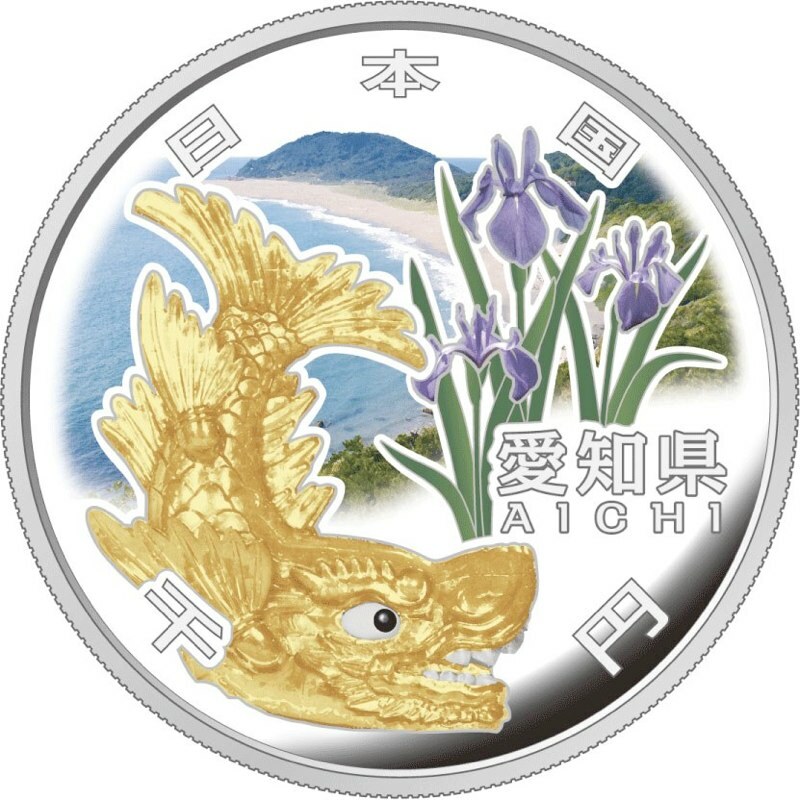 (Obverse design: Kinshachi, Rabbitear Iris and Atsumi peninsula)Featuring the golden Shachihoko on the top of the donjon of Nagoya Castle in Aichi, a rabbitear iris as the prefecture’s flower, and the sand beach, where is the famous spawning region of loggerhead sea turtles in the Atsumi Peninsula in Aichi. Kozutsuminishiike Pond in Aichi is one of the three major homes of rabbitear iris in Japan, and is designated as the natural monument of Japan. Located at the northern tip of the mainland Japan. The climate is marked by short summer and long cold winter, with heavy snowfall especially in the western region. 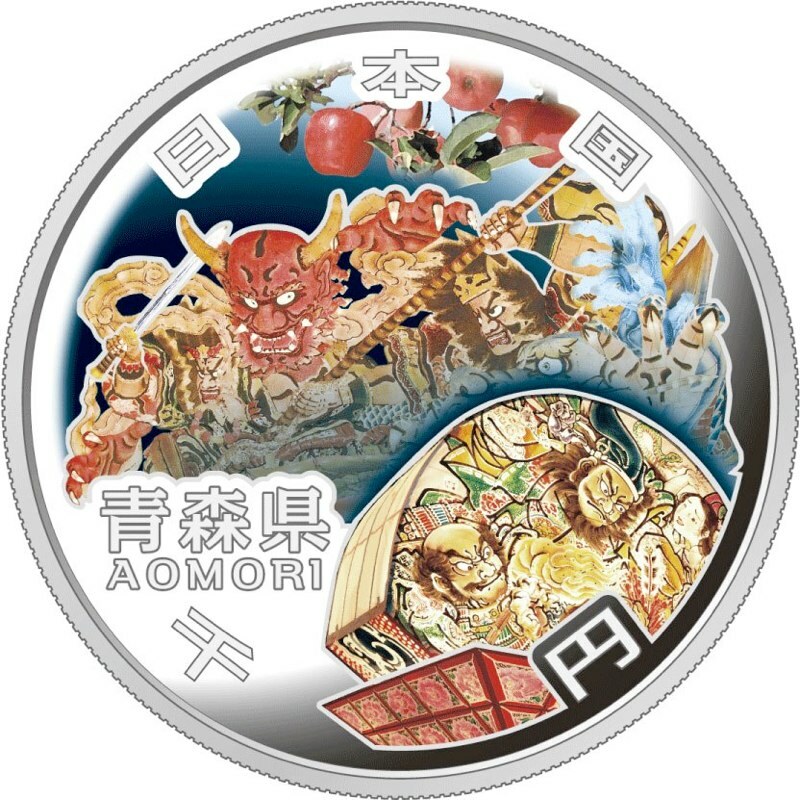 Obverse design: Nebuta, Neputa and Apple)Nebuta and Neputa are traditional summer festivals of the cities of Aomori and Hirosaki. The floats feature enormous paper lanterns of popular or legendary characters, made of a wood base, carefully covered with Japanese papers, beautifully colored, and lighted from the inside with hundreds of light bulbs. Aomori ranks first among all prefectures in annual production of apples. Located in the northwestern area of Kyushu Island. The western part of the prefecture is hilly, though there are some basins. The climate is generally mild. 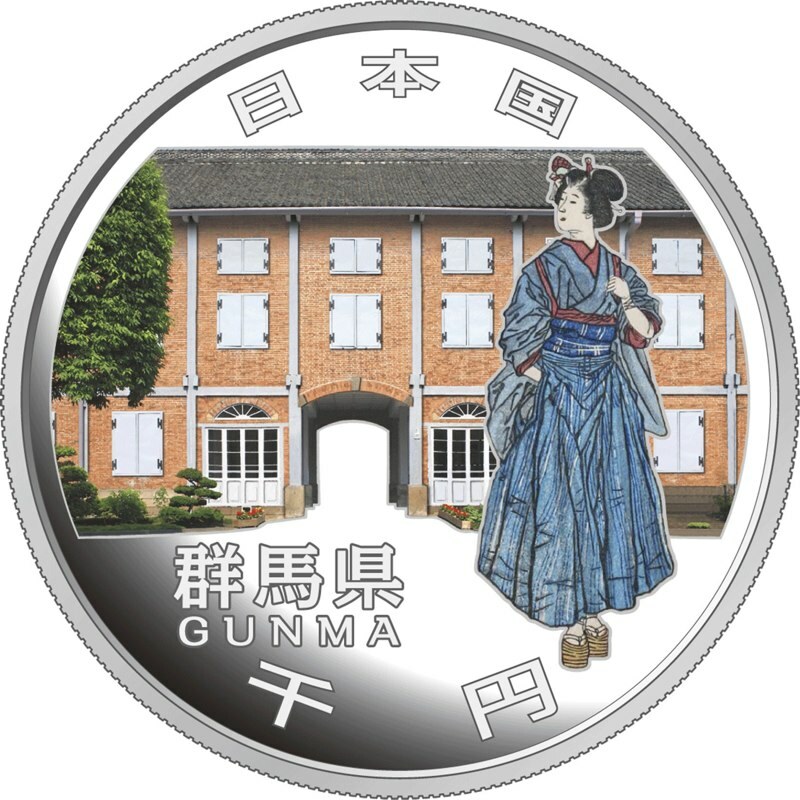 Obverse design: Okuma Shigenobu and Imari-Arita Ware)Okuma Shigenobu was a very active politician and educator from the late 19th century to the early 20th century, and he actually became the 8th and 17th prime minister. It is said that he also involved in the introduction of Japanese currency unit “Yen”. 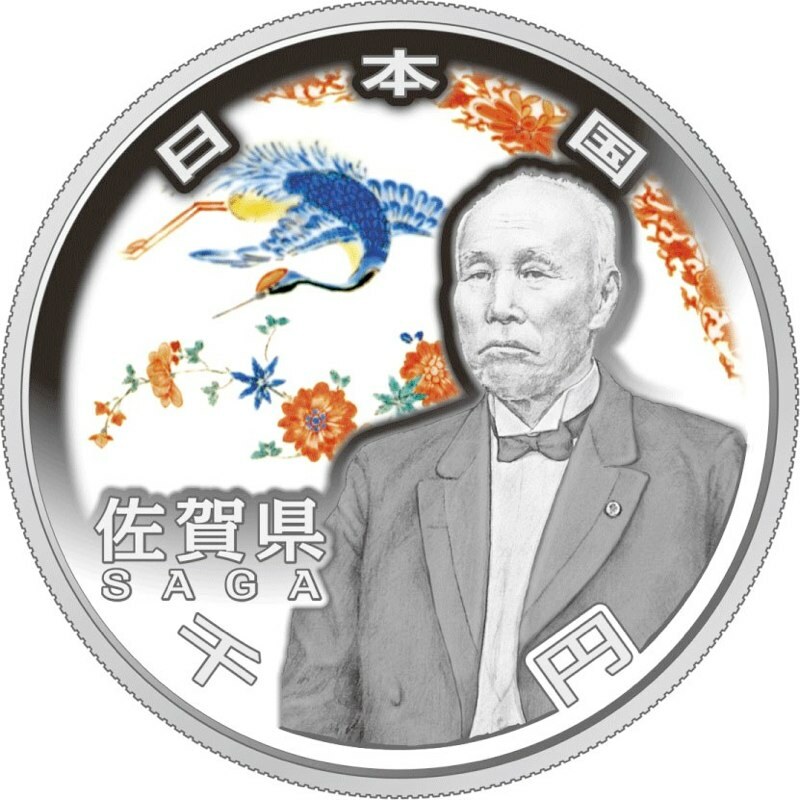 Furthermore, he contributed to introduce Saga’s traditional crafts such as Imari-Arita Ware, Saga Nishiki (a classic hand-woven fabric) and Kashima Nishiki overseas. Located in the center of the mainland Japan and faces the Sea of Japan to the north. Toyama is often hit by heavy snowfall in winter. 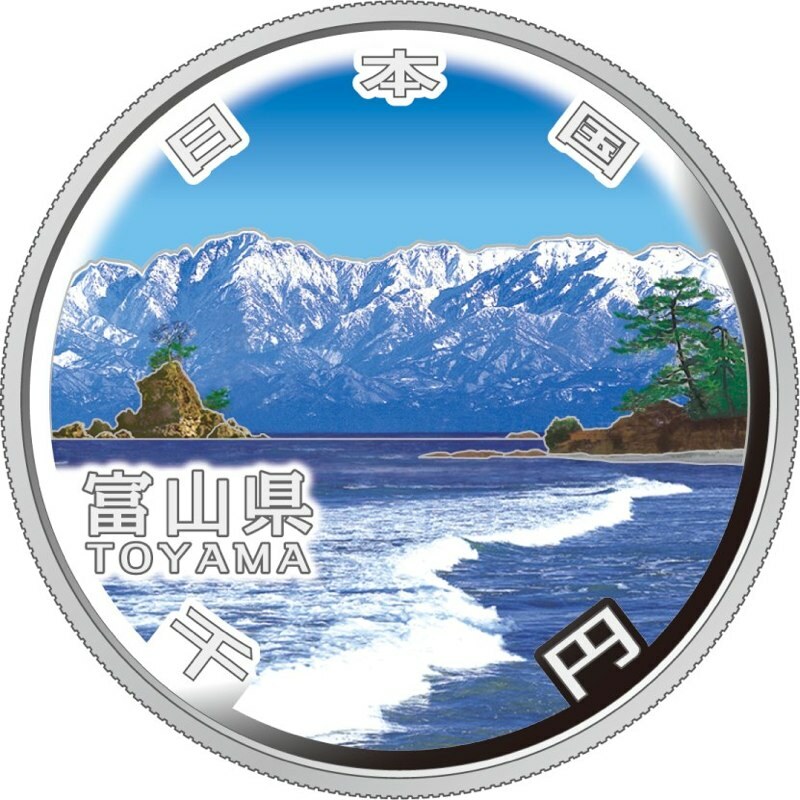 (Obverse design: The View of the Tateyama Mountain Range Floating on the Sea)Many tourists gather to this majestic Tateyama Mountain Range, especially in summer, to enjoy magnificent panoramic views and blossoming alpine plants. Amaharashi Kaigan Coast enjoys its popularity as a scenic spot from where we can view 3000 meter mountains rising from the sea, a rarity in the world. Located in the west of the mainland Japan, and faces the Sea of Japan to the north. 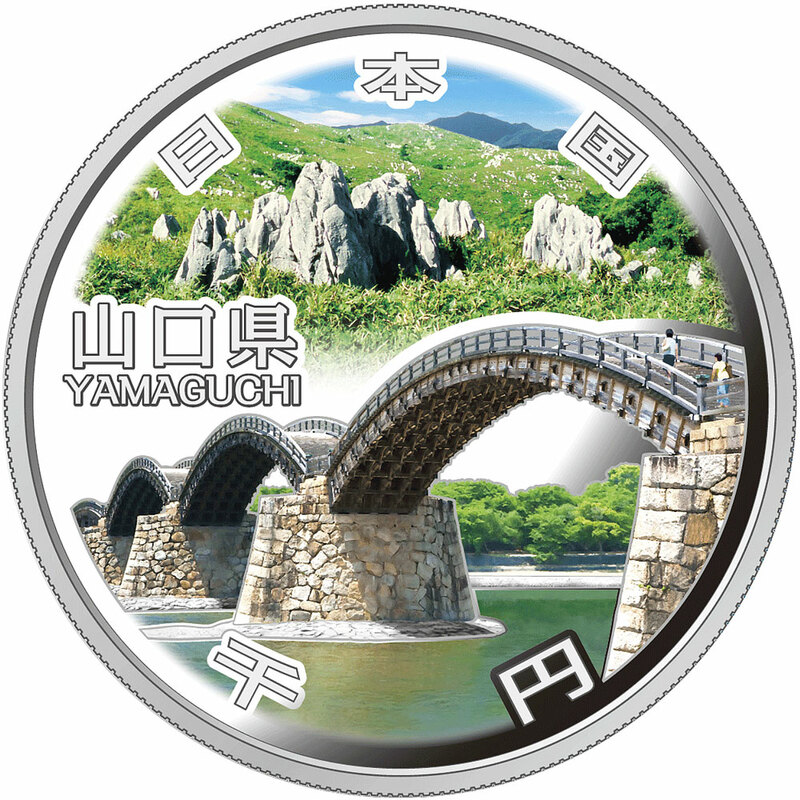 The prefecture is endowed with nature, with the sea to the north and mountains in the south. 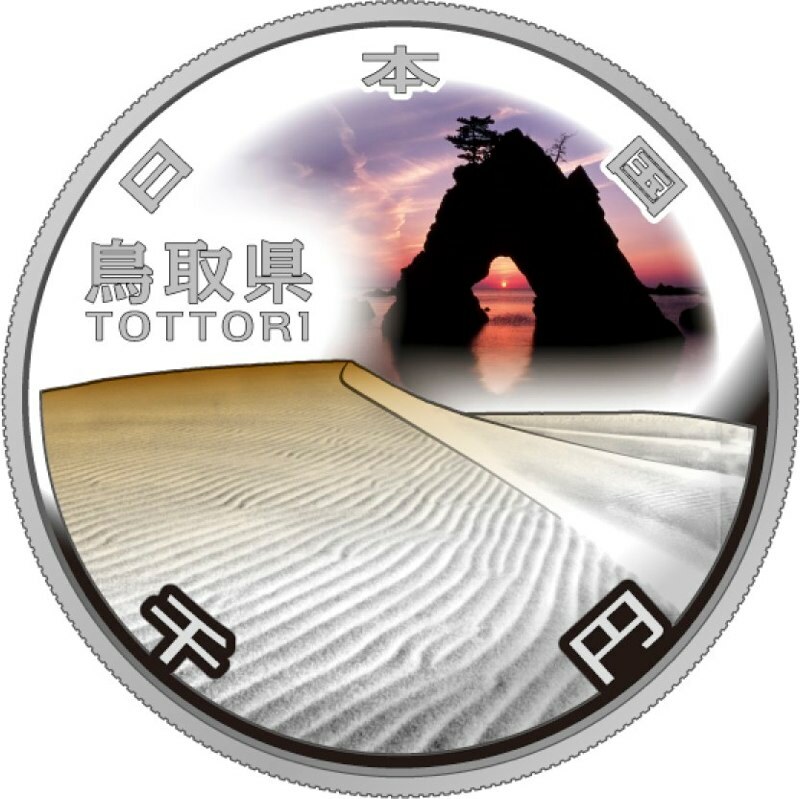 (Obverse design: Tottori Sand Dunes and San’in Kaigan)The Tottori Sand Dunes are coastal sand dunes that represent Japan. They’re famous for beautiful wind ripples, and measure sixteen kilometers from east to west and two kilometers from north to south. The San’ in Kaigan Coast features indented coastlines with small bays and capes and peculiar shaped rock formations. The San’ in Kaigan Coast was registered in the UNESCO International Network of Geoparks in 2010. 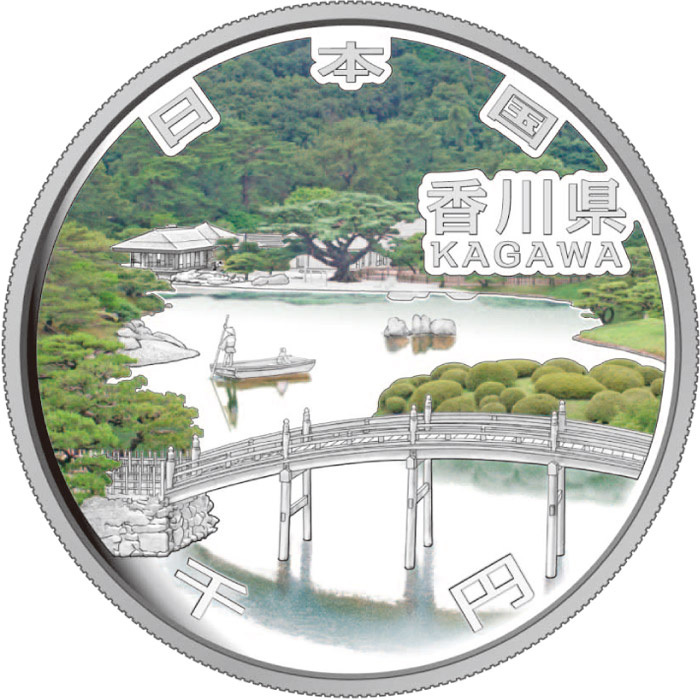 The cavity-shaped islet on the coin has a pine tree at the top. Located in the west-center Kyushu Island and faces the sea to the west. 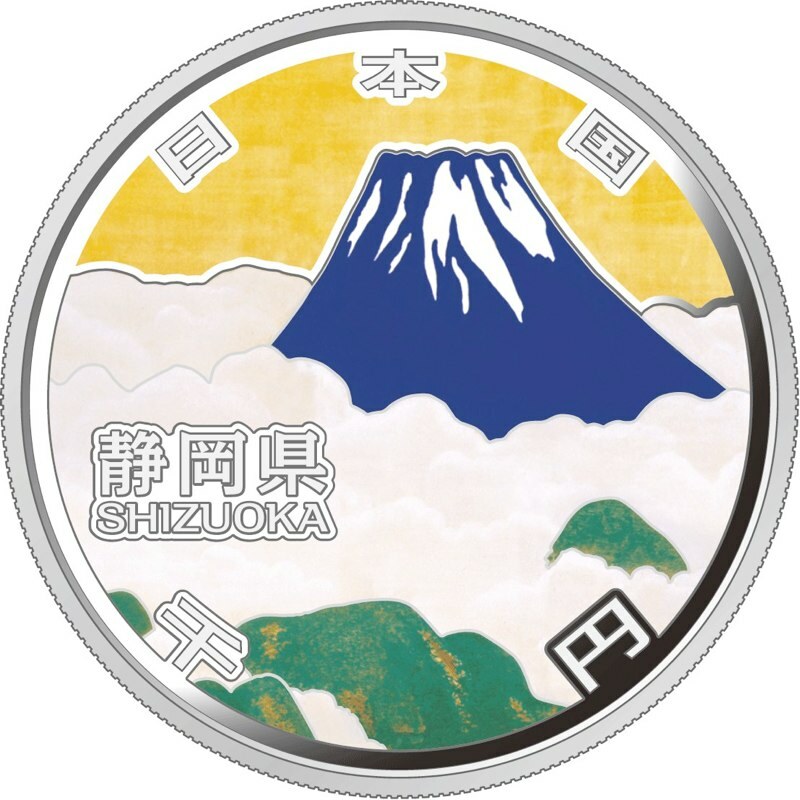 (Obverse design: Mt. Aso) Mt. Aso is an active volcano featuring one of the world’s largest calderas. 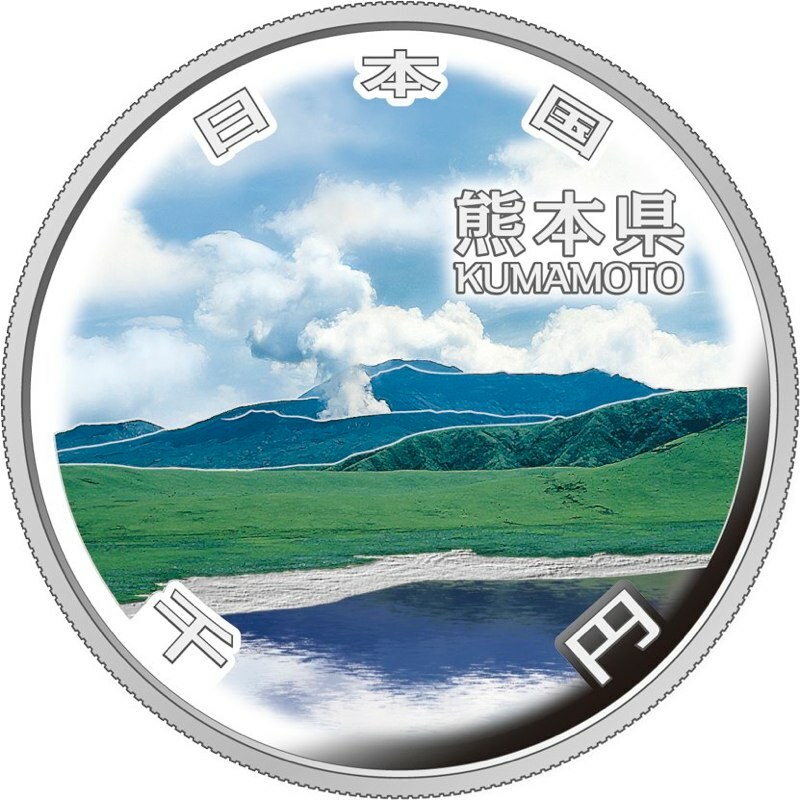 That’s why the coin shows the mountain emitting clouds of smoke. 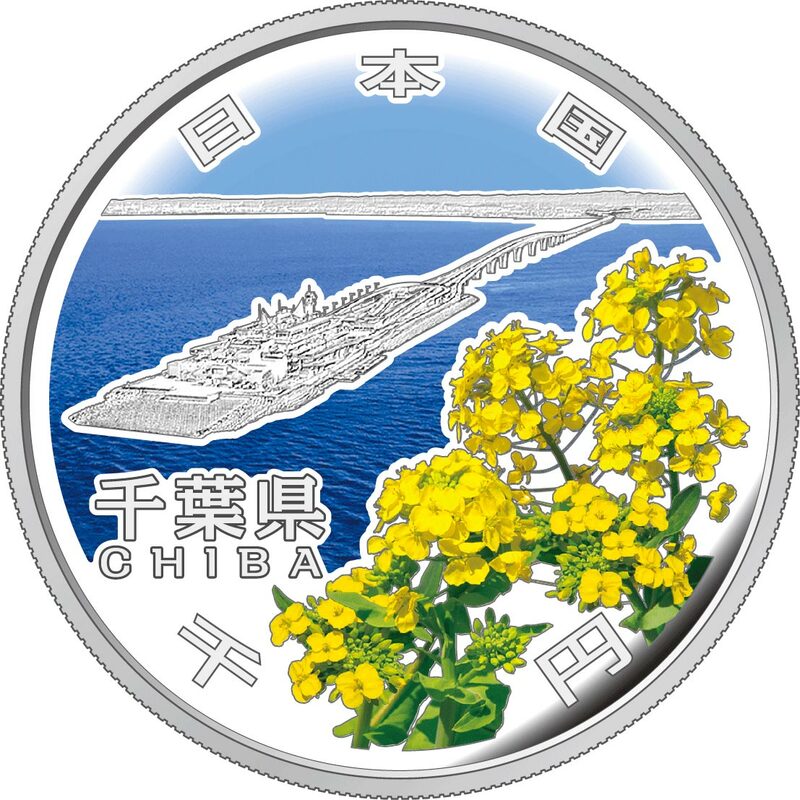 One-sixth of Shiga’s total area is covered by Lake Biwa, the largest lake in Japan. Lake Biwa is not only the most important water source for the people live in the main part of the western Japan, but also one of the world’s precious few ancient lakes with four millions of history. 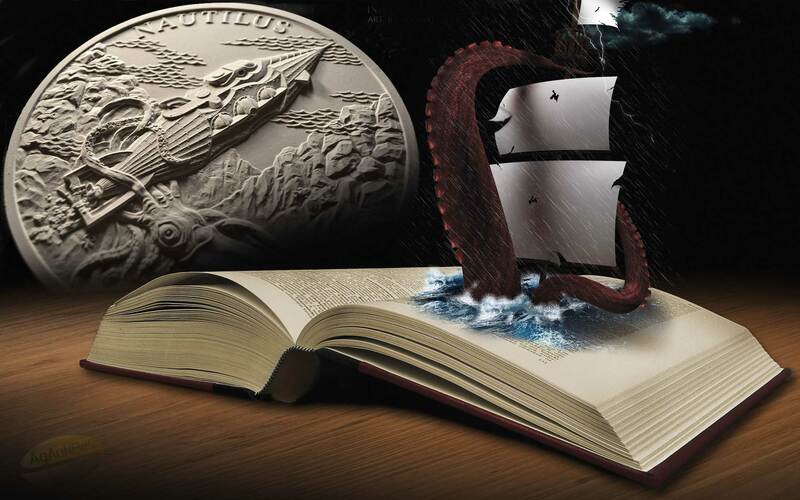 So, it is a home to many rare creatures not found anywhere else. 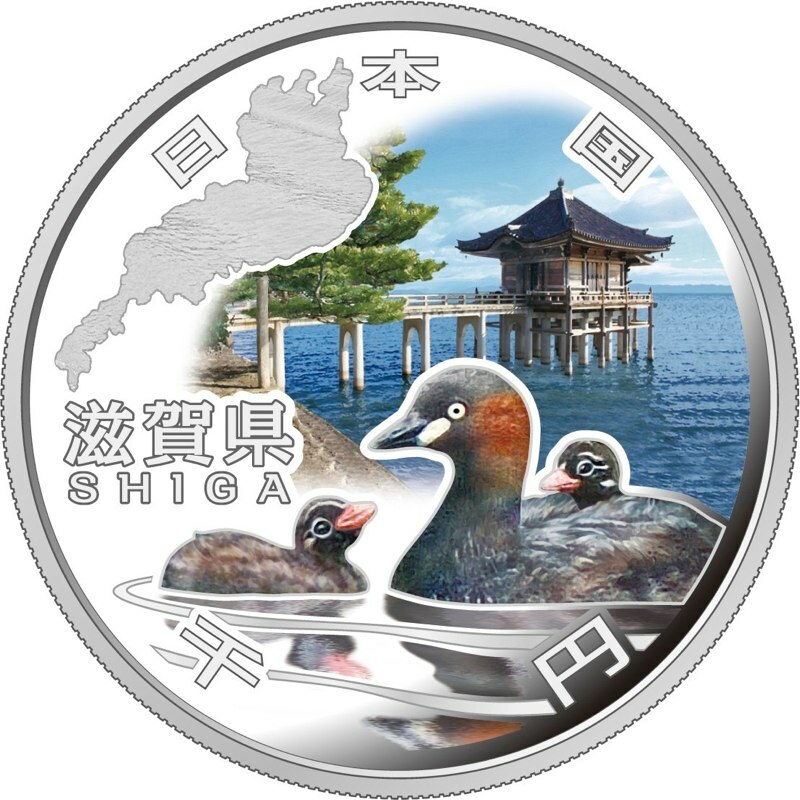 The obverse also features little grebe as the prefectural bird, which tend its baby at the back of the body, and Ukimido temple constructed to pray for safety of lake transportation. 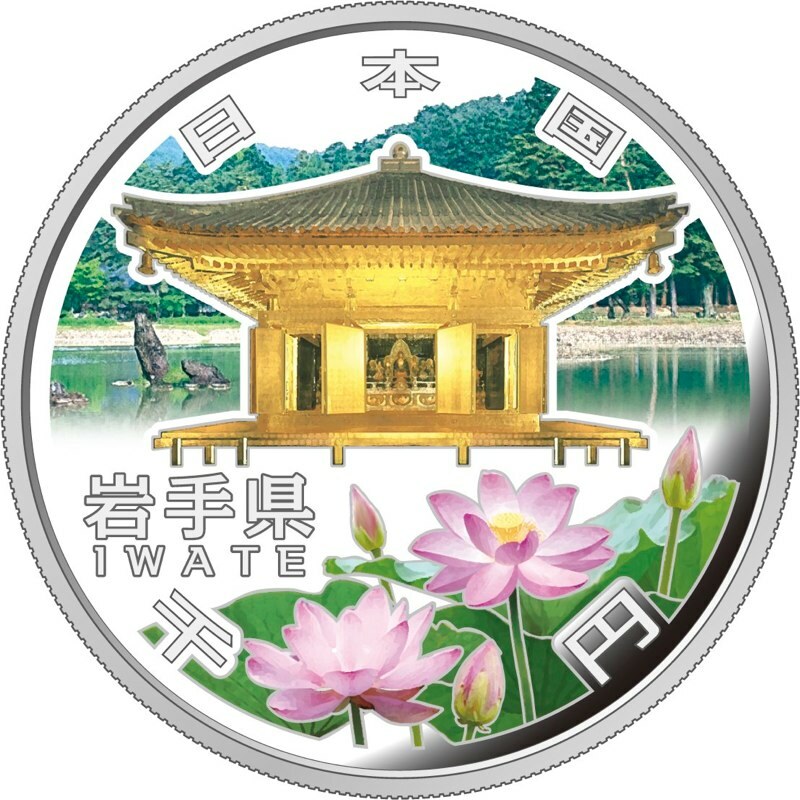 Iwate commemorative coin focuses on the Hiraizumi cultural heritage newly inscribed in the UNESCO World Heritage in this June, and now, the cultural heritage is regarded as a symbol of restoration of Iwate prefecture from the damages by the earthquake and tsunami hit on March 11, 2011. 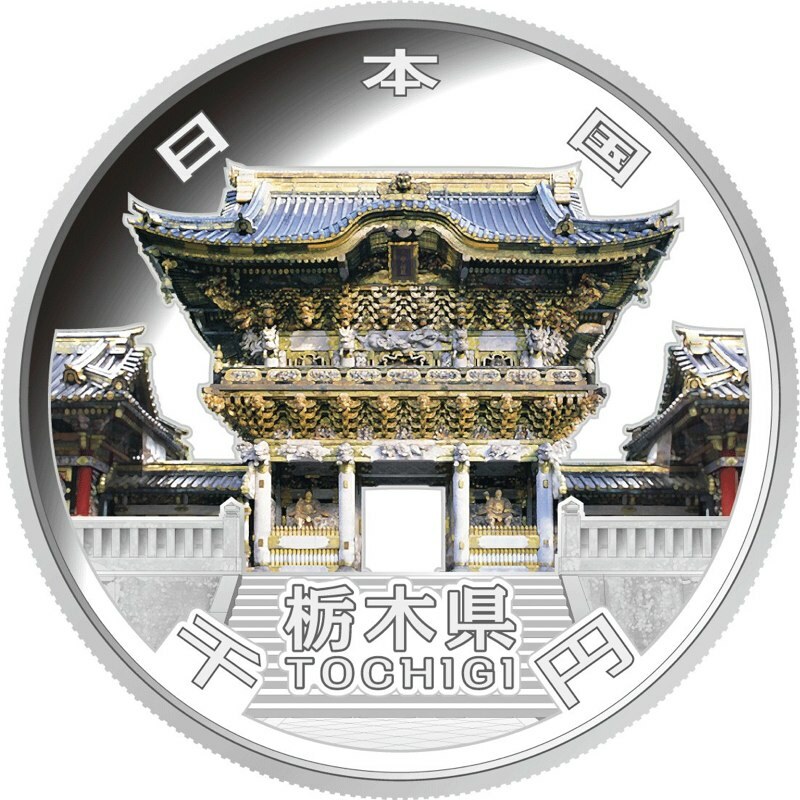 (Obverse design: Chûson-ji Konjikidô (Golden Hall), Chûson-ji Lotus and Pure Land Garden of Môtsû-ji)Iwate commemorative coin focuses on the Hiraizumi cultural heritage newly inscribed in the UNESCO World Heritage in this June, and now, the cultural heritage is regarded as a symbol of restoration of Iwate prefecture from the damages by the earthquake and tsunami hit on March 11, 2011. The Konjiki-do Golden Hall was a constructed by Fujiwara no Kiyohira, the founder of a noble family called Oshu Fujiwara in the 12th century. Apart from the roof, it is covered with gold leaf both inside and out. In the hall, the four bodies are placed: Kiyohira, the first Oshu Fujiwara lord, his son, Motohira, Motohira’ s son, Hidehira and Hidehira’ s son, Yasuhira. Chuson-ji lotus was grown up from seeds 800 hundred years ago, which were remained in the Konjiki-do Golden Hall. Pure Land Garden of Motsu-ji temple was constructed by the second and third lords of Oshu Fujiwara clan. Nobu Shirase was the explorer born in Akita. 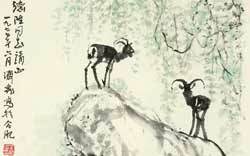 He had had great ambitious for a polar expedition from his early days in Akita famous for its heavy snowfall. On January 16th, 1912, Shirase landed on Antarctica and headed to the South Pole together with four of his team members. Unfortunately, they had to give up a chance to reach the South Pole because of lack of food and so on, but, one of the glaciers in Antarctica was named “Shirase Gracier”. State Hall in Shuri Castle is known as the largest wooden building in Okinawa and restored to its original state in 1992. Kumiodori, literally meaning combination dance, is traditional Okinawan musical theatre which composes of words, music, movements and dances. 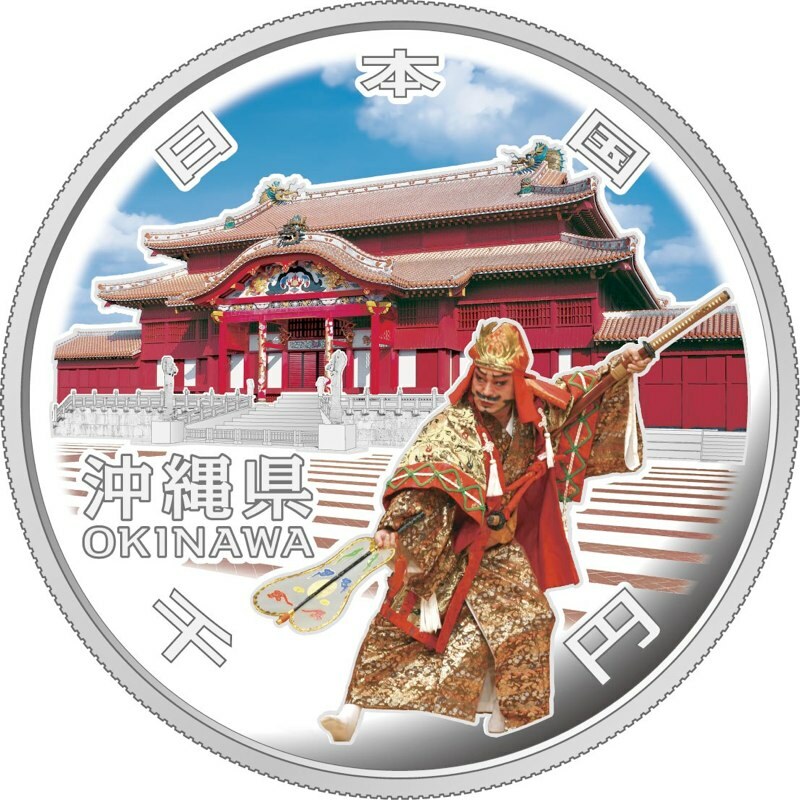 Okinawa was an independent country called Ryukyu Kingdom in the old days and developed its unique culture. Site of Shuri Castle, built in the end of 14th century, was registered in the UNESCO world heritage in December 2000 and Kumiodori, premiered in 1719, also was registered in the UNESCO intangible cultural heritage in November 2010. Kamakura was a center of samurai government and Tsurugaoka Hachimangu Shrine was built in the later 12th century to protect the shogunate. Yabusame is a type of mounted archery in traditional Japanese archery. 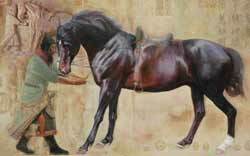 An archer on a running horse shoots arrows at targets. This event at Tsurugaoka Hachimangu Shrine is held in Hojo-e ceremony, which respects to living creatures, and dedicated as a shrine ritual. Main Building of Miyazaki Prefectural Government with modern Gothic is a symbolic architecture in Miyazaki. Takachiho Yokagura is sacred nighttime dances spread to Takachiho region known as mythology of the descent to earth of the grandson of the sun goddess. 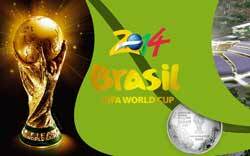 Every year from November to February, it is held at about twenty districts in the town. Thirty-three programs are performed throughout the night. Nikkō TōshōgūShrine is a mausoleum of TOKUGAWA Ieyasu (1542~1616), the founder of Tokugawa shōgunate. It was registered as World Heritage Site, together with Arayama Shrine and Rinnō–ji Temple, as “Shrines and Temples of Nikko” in 1999. Yōmei–mon Gate, a symbol of the shrine, was founded under the command of the third Shogun TOKUGAWA Iemitsu in 1635. It was named after “Yōmei–mon Gate”, one of the twelve great gates of the Heian Palace in Kyoto. The plate engraved “Tosho Daigongen”, honorific title of TOKUGAWA Ieyasu, is hung in front, which was given by Emperor Goyōzei. Also, Yōmei–mon Gate has another name, “Higurashi–mon”, meaning “Day–passing Gate”. This is because inside of the gate is decked with 508 sculptures as well as brilliant colored ornaments, and you cannot be bored even after seeing them all the day. Usa Shrine:Usa shrine is the head of Hachiman-gūshrines, a series of more than forty thousand shrines in Japan. In 725, the inner shrine, Ichi–no–Goten, was founded in the same place as present. The existing inner shrines were built in the late 19th century, and were designated as National Treasures of Japan in 1952. 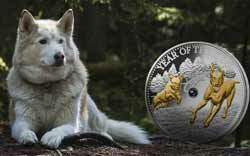 This year, 2012, is the 60th anniversary from the designation. Futabayama: Born in Usa, Ōita (1912∼1968). 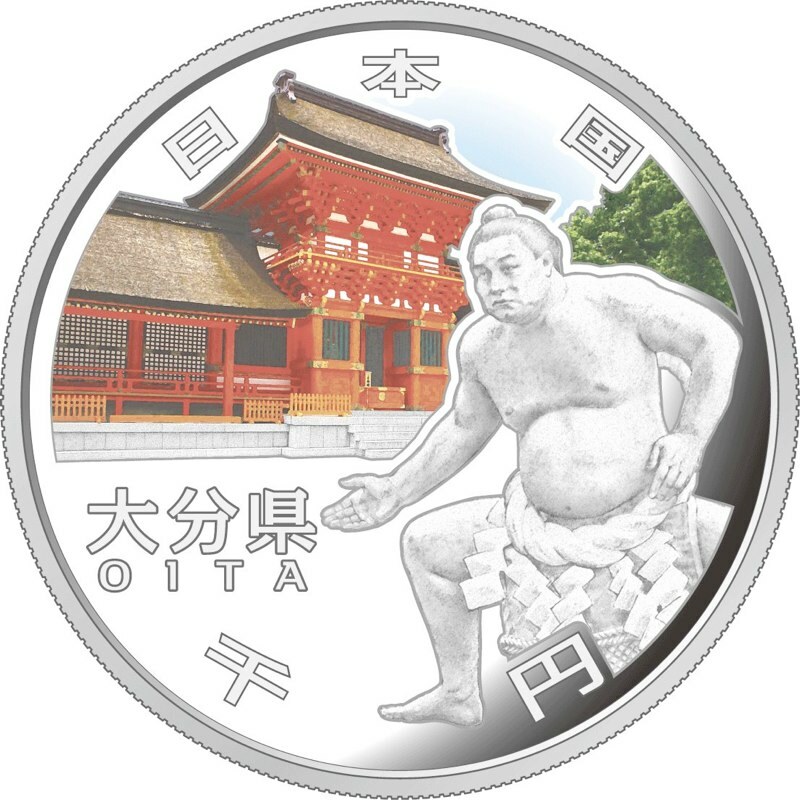 He was the 35th yokozuna, the highest rank in sumō wrestling. 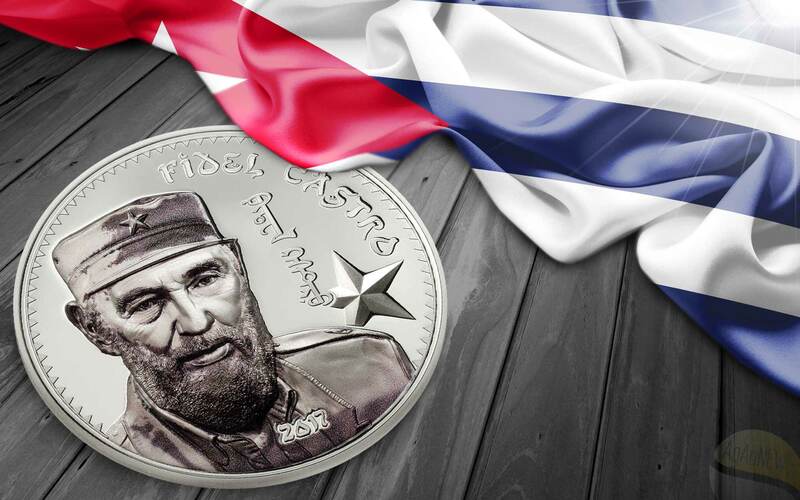 He achieved 69 consecutive victories from 1936 to 1939, which has been the record for more than 70 years. In 1946, at the age of 34, he retired and assumed the sumō elder’s name of Tokitsukaze as a sumō coach. Later, he became a chairman of the Japan Sumō Association and made a great contribution to the development of sumō world. Oriental white stork: Oriental white stork is grouped into the Family Ciconiidae. 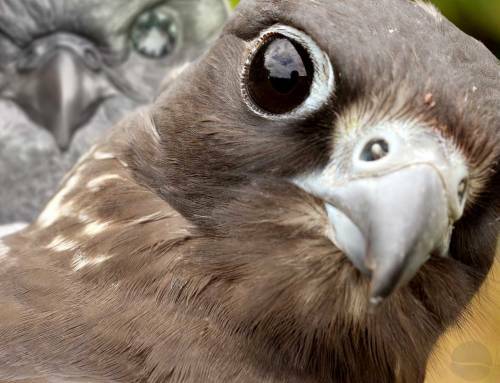 Adult birds achieve the length of about 115 cm. The width of expanded wings sometimes reaches approximately 200 cm. 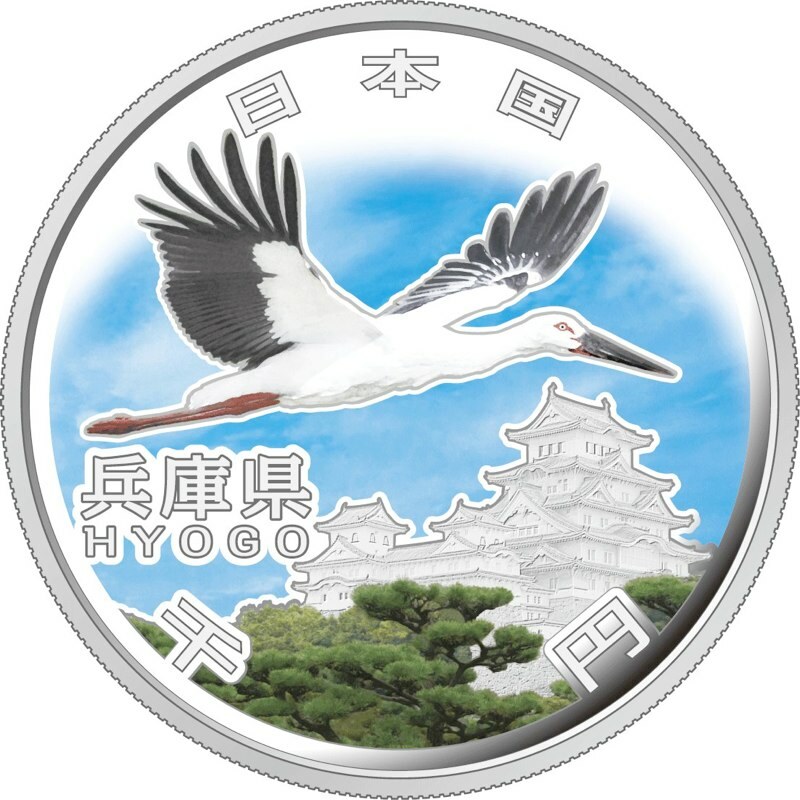 Although Japanese oriental white storks became extinct in 1986, Japan succeeded in breeding individuals given over by Russia in 1985, the number of which increased to c. 150 at the end of 2011. Since 2005, Japan has been trying to release them into the wild, by conducting pilot release etc. This effort helps the number of oriental white storks born in the wild increase in recent years. Himeji Castle:Himeji Castle is said to have been built first by a lord of Akamatsu clan. In 1580, TOYOTOMI Hideyoshi governed and restored it. After the Battle of Sekigahara, IKEDA Terumasa became the owner of the castle in 1600. Today’s Himeji Castle was constructed by the great renovation, which was carried out by him from 1601 to 1609. Even today, not only the castle keeps — but also watchtowers, gates and etc. are preserved. Himeji Castle was designated as a National Treasure in 1951, and registered as the first World Cultural Heritage in Japan simultaneously with “Buddhist Monuments in the Hōryu-ji Area”. DATE Masamune (A.D. 1567-1636): DATE Masamune is a samurai lord, who governed the wide range of Tohoku (Northeast) Area in Japan, and later reigned as the first lord of the Sendai Domain, which mainly consisted of present-day Miyagi Prefecture, in the Edo period (1603-1868). 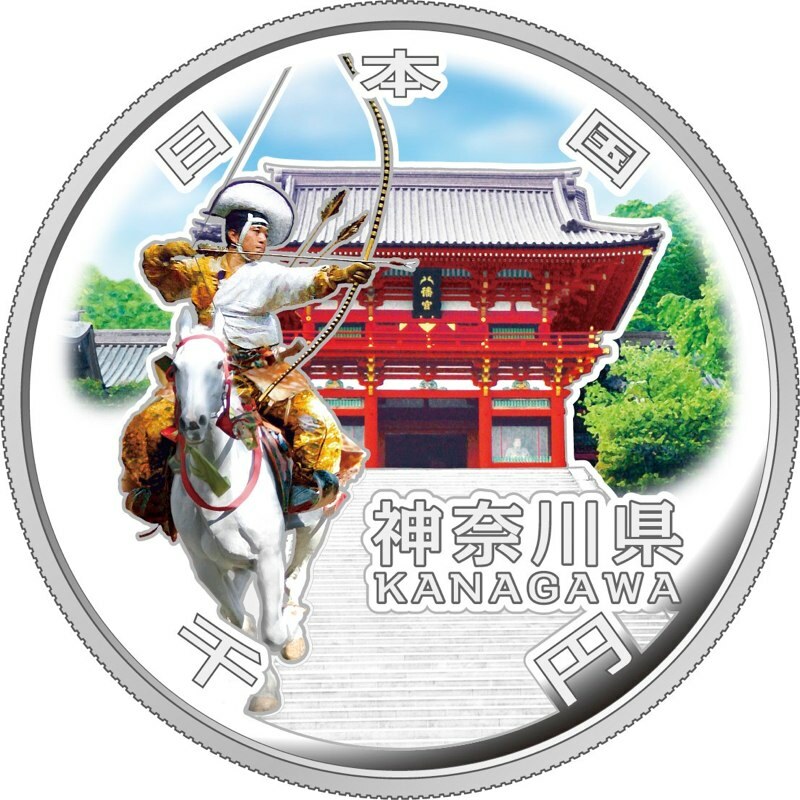 His statue designed on the obverse is placed on the site of the main keep of Sendai Castle, which was built by him on a mountain known as a natural fortress. Keichō Embassy to Europe: Keichō Embassy was a delegation which was dispatched by DATE Masamune to the King of Spain and the Pope in Rome, in search for the possibility of a direct trade with Mexico, in exchange for permitting Christian missions in his domain, in 1613. 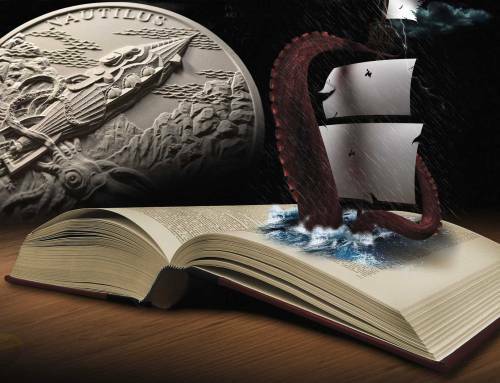 HASEKURA Tsunenaga, who had been chosen as the envoy, embarked and made the journey across the Pacific Ocean on the first Japanese-built Western-style sailing ship “San Juan Bautista”, accompanied by a missionary, Luis Sotelo. Finally, he met with the Spanish King Philip III and the Pope Paul V, and came back to Japan seven years later in 1620. Itsukushima Shintō Shrine: Itsukushima Shintō Shrine was founded in 593. The existing shrine pavilions were built by TAIRA no Kiyomori, a leader of samurai, in the 12th Century. The vermillion lacquered buildings and the great gate in the sea, contracting with the green on the mountain-side, create a unique landscape. In December 1996, it was designated as the World Cultural Heritage Site. 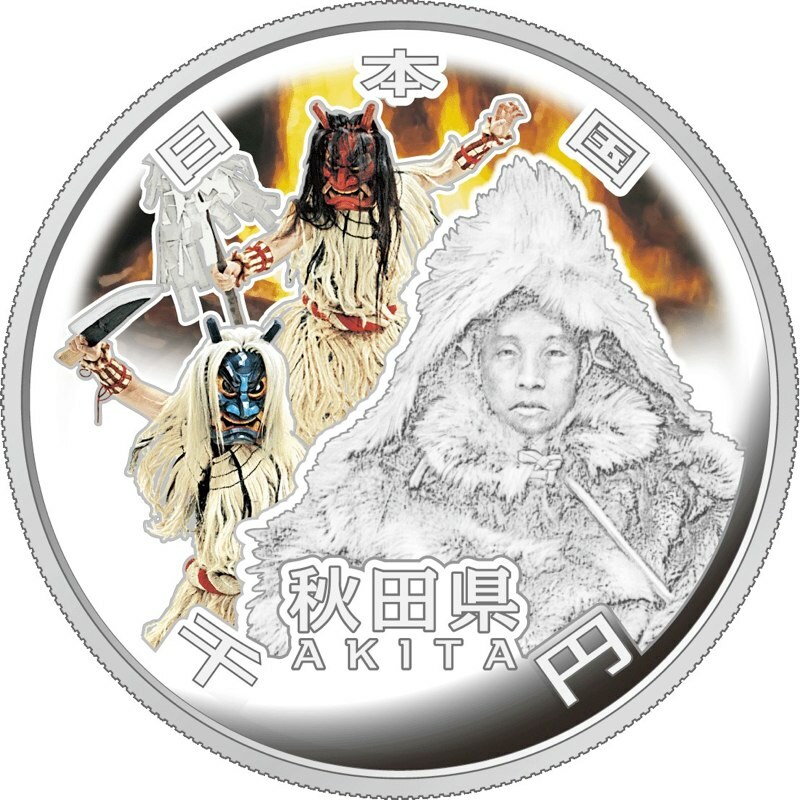 Bugaku: Bugaku refers to the ancient music (Gagaku) and dance, which was transmitted from India to Japan, via China and Korean Peninsula. It is no longer inherited in China, Korea, or the birthplace India. Bugaku traditionally performed in the Itsukushima Shintō Shrine, is said to have been transmitted from Shitennōji Temple in Osaka by TAIRA no Kiyomori. 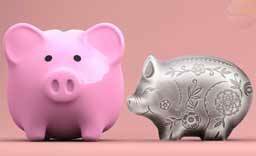 Nowadays, it has been performed more than ten times a year. Red Maple Leaf: Maple trees are widely distributed throughout Hiroshima Prefecture, and there are a lot of beauty spots for red maple leaves in Hiroshima, including Sandankyō Gorge, Taishaku Gorge as well as Miyajima Island, which is known as one of the three most scenic spots in Japan. This is why the maple tree has been designated as a “Tree of the Hiroshima Prefecture” since 1966. Tomioka Silk Mill: Tomioka Silk Mill was established in 1872 by the Japanese government, with an aim to realize the mass-production of the silk, as well as to improve the quality of this principal export item of Japan at that time. It was equipped with the Western silk-reeling technology, and became a model for other silk mills founded in various regions after that. It had been working also on the breed improvement of silkworms, and played a central role in developing the silk industry in Japan. The original main buildings, such as East Cocoon Warehouse, are still well preserved, though it finished the operation in 1987. It was designated as a National Historic Site in 2007, and as a National Important Cultural Property in 2008. Female Worker: It is said that more than 400 women workers recruited from all over Japan had learned the techniques of machine-reeling here and became leaders of silk industries in their home towns with great contributions. Okayama Korakuen Garden: Okayama Kōrakuen Garden is a Japanese garden with a path around a central pond and the current total site area is 13.3 hectares. It took 14 years for the construction by Tsuda Nagatada ordered by the domain lord of Okayama; Ikeda Tsunamasa. It is known as one of the three most beautiful gardens in Japan as well as Kairakuen Garden in Mito (Ibaraki Pref.) and Kenrokuen Garden in Kanazawa (Ishikawa Pref.). 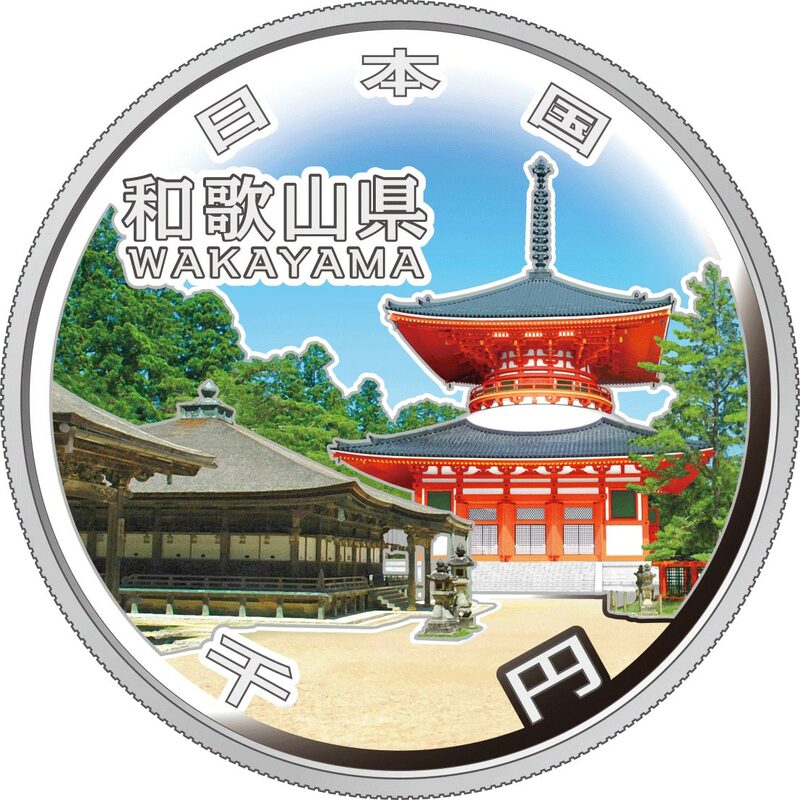 Donated to Okayama Prefecture in 1871 and designated as the special place of scenic beauty by the Japanese government in 1952. This garden will cerebrate the 130th anniversary of the start of its opening to the public in 2014. 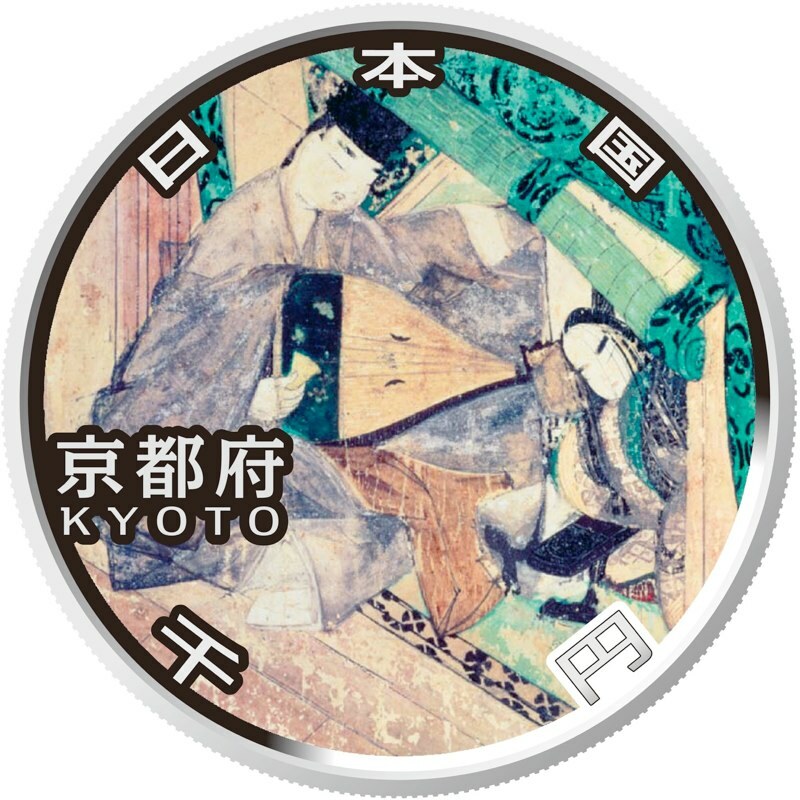 Momotaro: Momotarō or the Peach Boy, a popular hero from a folklore, which was read to everyone in childhood in Japan. In this folklore story, Momotarō born from a peach, wiped out ogres or demons with the followership of a dog, a monkey and a pheasant. 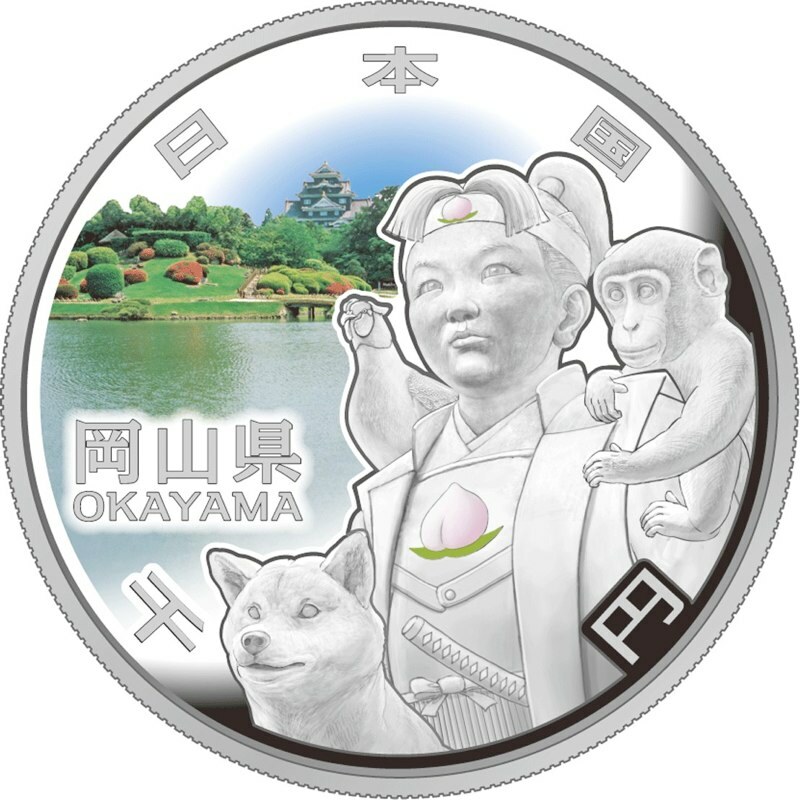 It is said that Okayama is the Momotarō’s country not only because of the local legend, but also of the peach-producing area as well as the place famous for millet dumplings, which were gifted from Momotarō to the three animals in the story. “Ultramarine Mt. Fuji”: The six folding screen “Ultramarine Mt. Fuji” or “Gunjō Fuji” drawn by a maestro of the modern Japanese art world, YOKOYAMA Taikan (1868-1958). With a somewhat top-down view, the white clouds standing out across the screen are depicted on the golden background as well as the thickly grown trees on the left hand and Mt. Fuji with the snowcap on the right. Jōmonsugi Cedar Tree: Jōmonsugi Cedar Tree is known as the oldest Yakusugi cryptomeria tree with the height of 25.3m and is estimated to be between 2,170 years old and 7,200 years old. The tree’s name is said to come from the Jōmon period of Japanese prehistory because it is a survivor of the Jōmon period dating back to about 16,500 years ago. Mt. Nagatadake: One of the high mountains called Okudake centrally-located in Yakushima Island. The height above sea level is 1,886m. Many granite rocks are exposed by erosion around the top of the mountain, and it formed an unique landscape with the mountain ridge like a folding screen. Yakushima Rhododendron:An evergreen low tree with the height of 2 to 3 m living in the area over 1,200 m above sea level. One of the indigenous species of Yakushima Island. 5 to12 blossoms of sanguine or pink color bloom on every tip of the branches from late May to early June every year. 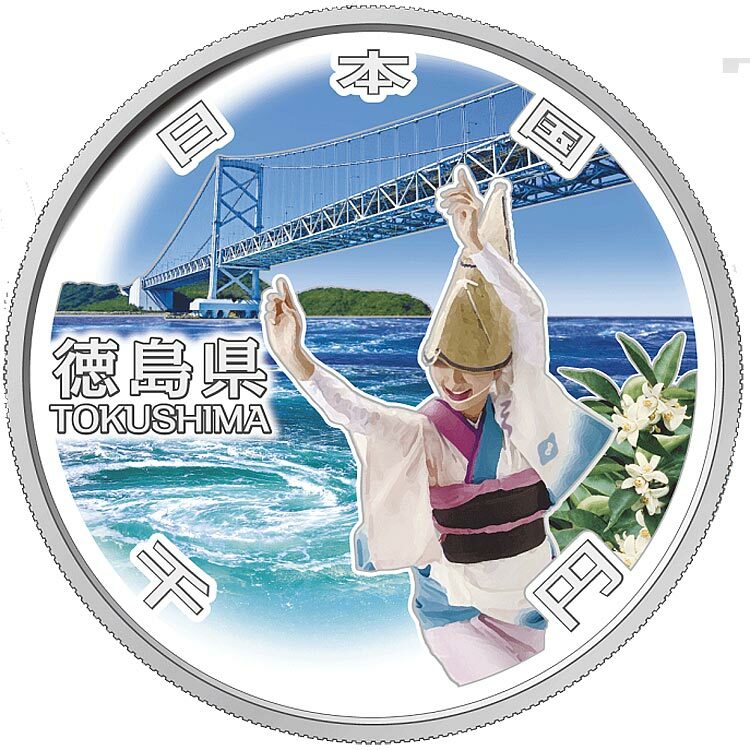 EHIME prefecture is a region with a mild climate, which is located in the Sikoku Island (one of the four biggest island in Japan, located in south west of the Main Island of Japan). Blessed with rich nature such as the highest mountain in western Japan, it is also famous for its rich history and various cultural properties. Dōgo Hot Spring main building: Dōgo Hot Spring, also known as Dōgo Onsen, is said to have more than three thousand years of history, and is known nationwide as the oldest hot spring in Japan. The Dōgo Hot Spring main building, a symbol of the hot spring area, is a public bath built in 1894, and was designated as an Important Cultural Property of Japan in 1994, on occasion of the 100th anniversary of its construction. It is also known that this building appeared in “Botchan,” a novel written by one of the greatest novelists in Japan, NATSUME Sōseki. Mikan oranges: Ehime Prefecture is known as one of the major production areas of mikan oranges or formally Citrus unshiu, in Japan. 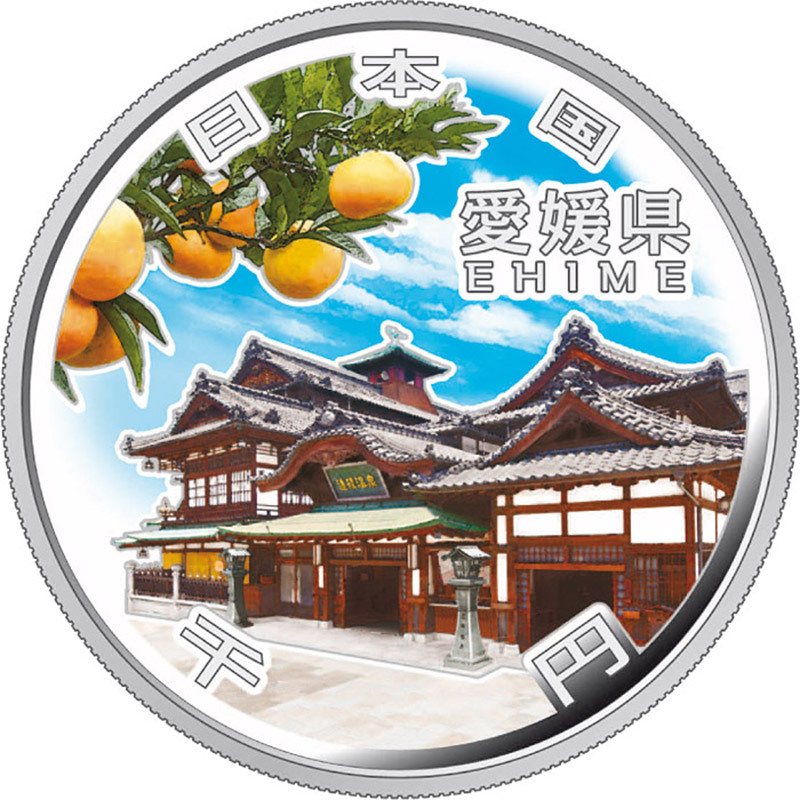 Ehime’s production volume of the whole citrus fruits, including mikan oranges, amounts to about 220 thousand tons per year, which is the largest of all the prefectures in Japan. 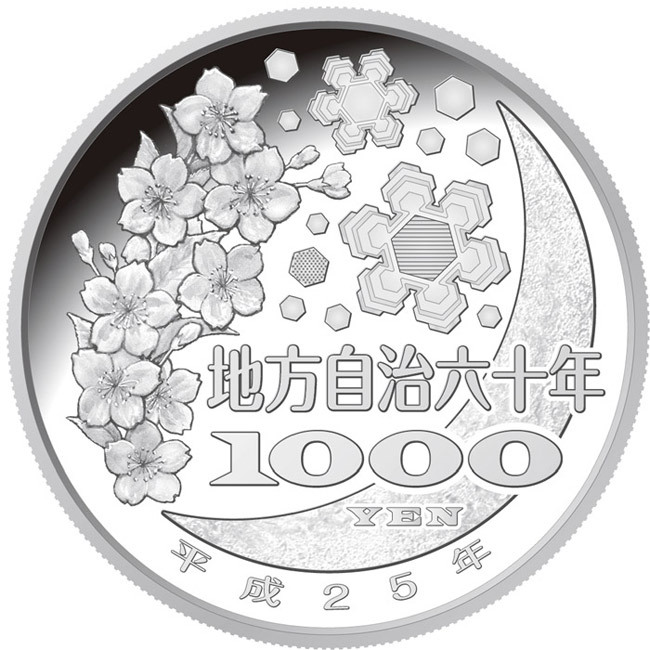 In addition, a blossom of the mikan orange is designated as a blossom of the prefecture. Mogami River: Mogami River is a first-grade river with a total length of 229 km. During the Edo Period (1603-1868), main products of the inland area of Yamagata prefecture, such as rice, safflower and etc., were transported by this waterway to the mouth of the river, namely, the port of Sakataminato, and then shipped from there to Kyoto or Osaka via the sea route. In this way, the river has greatly contributed to the daily life and culture of the residents of the prefecture since long time ago. It is also known as one of the rapidest rivers in Japan. “Samidare-wo, atsumete-hayashi, Mogami-gawa (Gathering the rains of May, Mogami River flows rapidly),” a famous haiku (Japanese seventeen-syllable poem) made by MATSUO Bashō, also refers to the rapidness of the river’s flow. Cherries: A kind of cherry, known as Sakuranbo cherry, is a fruit of Mizakura, a cherry tree which belongs to the genus Prunus and the family Rosaceae. 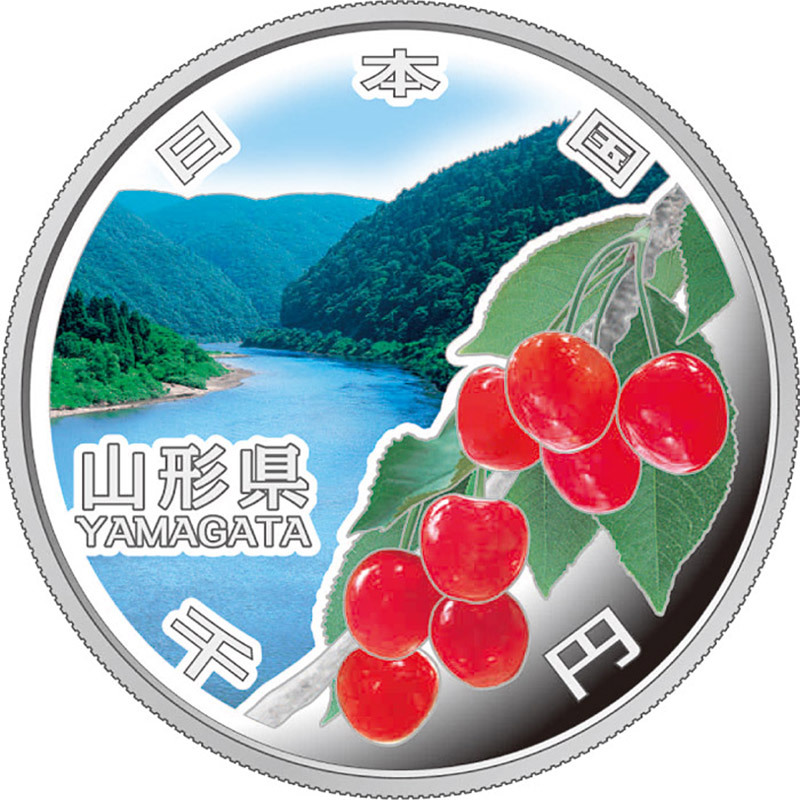 At present, about 70 percent of the gross production of the Sakuranbo cherry in Japan (about 13,200 tons, according to statistics of the Ministry of Agriculture, Forestry and Fisheries in 2012) is produced in Yamagata Prefecture. Satōnishiki, a breed of the Sakuranbo cherry, whose production volume in Japan is the largest of all the cherries, was produced by breeding in Yamagata Prefecture. In addition, Mizakura cherry tree is designated as a tree of the prefecture. Isuzu River: Isuzu River is a fresh river which lies in the west end of Ise Grand Shrine or Ise Jingū Shrine (inner main sanctuary called Naikū). It has been written about in various waka, a type of classical poetry in Japan, since long time ago. 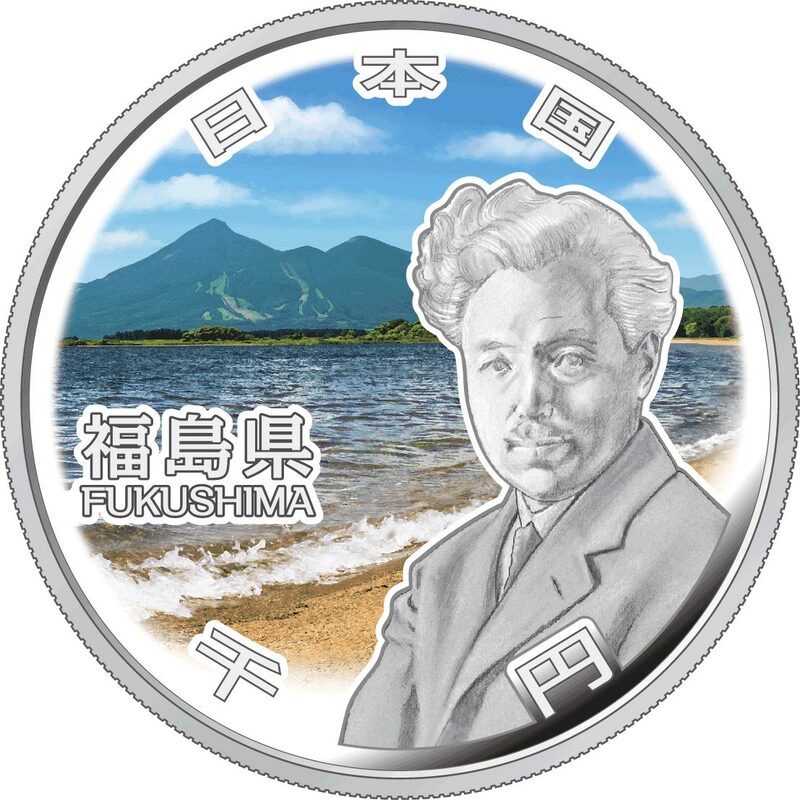 It is located in Ise- Shima National Park, a designated area based on the Natural Parks Law in 1946. The surrounding area of this river is one of the representative scenic spots in the park. Uji Bridge of Ise Grand Shrine: Uji Bridge is a wooden bridge built across Isuzu River, located in an entrance of the approach to Naikū of Ise Grand Shrine. It is reconstructed every twenty years in advance of the Shikinen Sengū Ceremony (a ceremony held in Ise Grand Shrine every twenty years, in which all of the buildings of Naikū are reconstructed, and the object of worship is transferred to one of the new buildings). Ritsurin Garden: It is the only place which is designated as a Special Place of Scenic Beauty of the nation in Shikoku Island. It has been highly evaluated internationally as a circuit style garden founded by a feudal lord, with almost 400 years of history. In 1631, part of the garden around Nanko (a South Pond) was made by IKOMA Takatoshi, a feudal lord of Sanuki area (an old name of Kagawa prefecture). Then it was handed over to MATSUDAIRA Yorishige, who became the first lord of Takamatsu domain (a feudal domain covering the east part of Sanuki area) in 1642. The whole garden was completed as Ritsurin Retreat in 1745 in the reign of the fifth lord, Yoritaka, and since then had been maintained and used as a suburban residence of MATSUDAIRA family for 11 generations until the Meiji Restoration in the late 19th century. Since 1875, it has been opened to the public as a garden of the prefecture, and was designated as a Special Place of Scenic Beauty of the nation under the Law for the Protection of Cultural Properties in 1953. 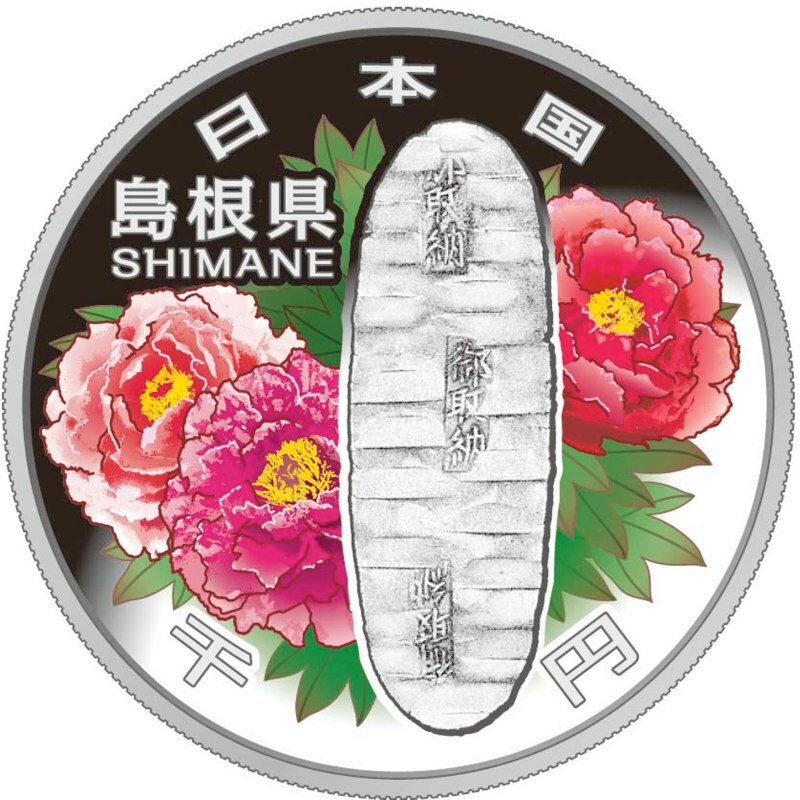 Shibusawa Eiichi: Shibusawa Eiichi was born in the present-day Chiarai-jima, Fukaya city, Saitama prefecture, on February 13th, 1840. 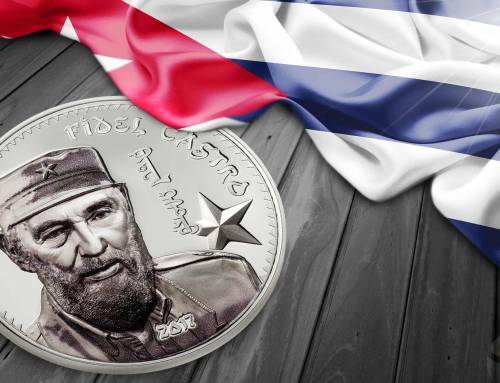 Based in the First National Bank, he contributed to the foundation and development of about 500 companies, and also made great efforts in private diplomacy and assistance of about 600 social and public projects in the various fields like welfare and education. He passed away at the age of 91 on November 11th, 1931. Bell of Time: Kawagoe, a city with an area of 109.16 square kilometers and a population of more than 340 thousand people, is known for buildings built in the Kurazukuri style, a traditional Japanese architectural style mainly used for warehouse, which is characterized by walls made from the clay. The city was designated as a national Important Preservation District for Groups of Traditional Buildings in December of 1999, and was selected as one of the “Top 100 Historical Sites of Beautiful Japan” in January of 2007. The Bell of Time, a symbol of Kawagoe city, was selected as one of the “100 Soundscapes of Japan we want to hand down,” which was sponsored by the Ministry of the Environment in 1996. Kenrokuen Garden: Known as a representative traditional Japanese garden made by a feudal lord in the Edo period (1603-1868), it is ranked as one of the three most beautiful gardens in Japan together with Kairakuen Garden in Mito, Ibaraki prefecture, and Kōrakuen Garden in Okayama prefecture. It was designated as a Special Place of Scenic Beauty of the nation in 1985. The inside of the garden has been illuminated in each season since 1997. Especially, illumination in autumn and winter, where ropes protecting trees from snow (yukizuri) are lighten up out of the darkness, is extremely fantastic. Kotoji stone lantern: Placed in the northern shore of the Kasumigaike pond, it is known as a symbol of the Kenrokuen Garden. It is said that its name was derived from “kotoji,” a bridge for strings of the Japanese harp (koto), because their shapes with two legs are similar to each other. Ropes protecting trees from snow of Kenrokuen Garden (Yukizuri): Yukizuri, ropes set around trees in a cone-shape to protect them from the weight of snow, is famous as feature of winter in Hokuriku region, to which Ishikawa prefecture belongs. In Kenrokuen Garden, ropes are set by landscape gardeners from November 1st every year. beauty by the national government. Naruto Strait: The whirlpools of Naruto Strait are among the largest in the world. They are produced by rising and falling tides in the Naruto Strait: a channel between Naruto City in Tokushima Prefecture and Minami-Awaji City in Hyogo Prefecture. Here, whirlpools grow largest at the time of spring and fall tides, when the speed of water reaches 20 km/h and vortices of up to 20 m in diameter can be observed. The channel is spanned by Onaruto Bridge, a 1 ,629 m suspension bridge completed on June 8, 1985, which connects Kobe and Naruto as part of the Honshu-Shikoku Bridge. Awa Odori Dance: Tokushima is proud of its traditional Awa Odori, a dance which has a history spanning more than 400 years and deserves world recognition. There are several theories about the origin of the dance. 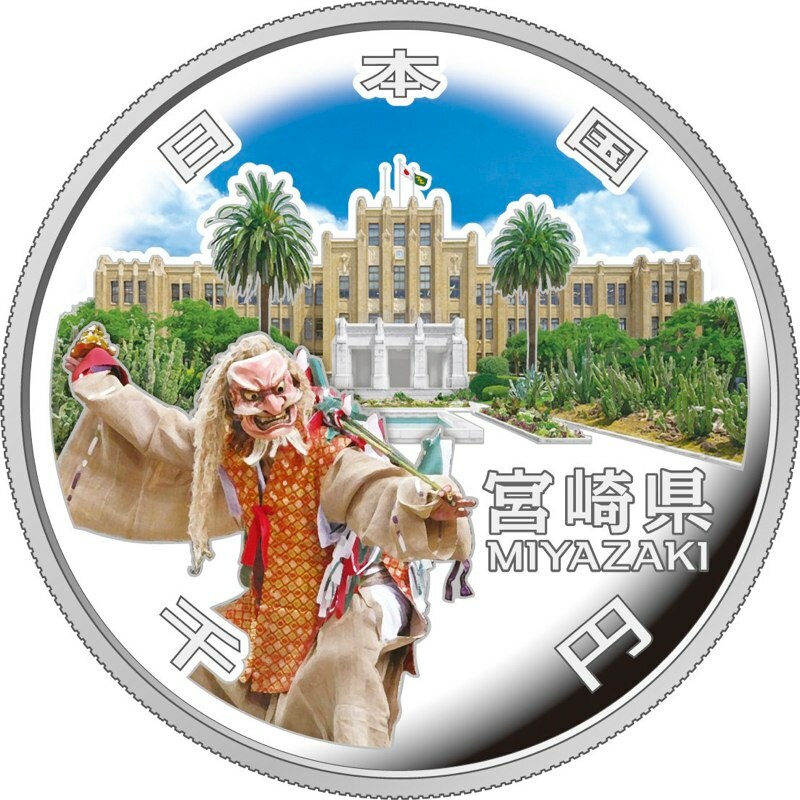 Some say it started in commemoration of the construction of Tokushima Castle, others argue it originates in Furyu Odori dance that later developed into Noh; while others say it originates from Bon Odori dance. In Tokushima City, an annual Awa Odori festival is held from August 12 to 15 and visited by more than 1 ,200,000 people every year. In addition to this festival, people enjoy Awa Odori dance in many locations across Tokushima Prefecture and throughout Japan. Okinoshima Island:This is a solitary island remotely located in the Sea of Genkai, where national rituals were performed between the late 4th century to the end of the 9th century to pray for the success of diplomacy and safety of navigation. Called the “Shoso-in (Treasure House) of the Sea,” this island is home to 22 ancient ritual sites that are well preserved. Here, about 80,000 artifacts, which had been used as ritual offerings, were unearthed, and all were designated as National Treasures. Munakata Taisha Grand Shrine: Munakata Taisha Grand Shrine is a combination of three Shinto shrines: Okitsu-miya Shrine on Okinoshima Island, Nakatsu-miya Shrine on Oshima Island and Hetsu-miya Shrine on Tashima. These shrines are devoted to three goddesses who were believed to protect the sea route to the Korean peninsula. The main hall and worship hall of Hetsu-miya Shrine are National Treasures. A Gold Ring:This is one of the artifacts unearthed on Okinoshima Island. Similar rings were discovered in the royal tombs of Silla in Gyeongju, Korea, which implies that this ring was brought from the Silla Kingdom during the Three Kingdoms period of Korea. The ring was designated as a National Treasure in 1962. Mt. Koya: This sacred mountain site, founded in 816 by the Japanese monk Kobo Daishi (Kukai), celebrates the 1200th anniversary of its foundation in 2015. In 2004 it was registered as a UNESCO World Heritage Site as one of the Sacred Sites and Pilgrimage Routes in the Kii Mountain Range. Danjo Garan Temple Complex: This is believed to have been the site of the first complex built by Kukai when he came to Mt. Koya, and the view of the Danjo Garan with the Konpon Daito Great Stupa at its heart is one of the most famous sights on the mountain. In 1977, the Garan Area was designated a National Historic Site as part of the Kongobuji Temple precincts, and the Great Stupa, Kondo (Main Hall), and other buildings within these precincts constitute Japan’s first full-scale monastic complex dedicated to esoteric Buddhism. Osaka Castle: Located in central Osaka Prefecture, this symbol of Osaka welcomes 1 .55 million visitors yearly (2013 figures). One of Japan’s three most famous castles, the donjon was reconstructed in 1931 and was designated as a National Registered Tangible Cultural Property in 1997. Bunraku Puppet: Originally known as ningyo joruri and one of Japan’s best-known traditional arts, bunraku puppet theater is an art form that integrates three elements: tayu (narration), shamisen (a three-stringed instrument), and ningyo (puppets). 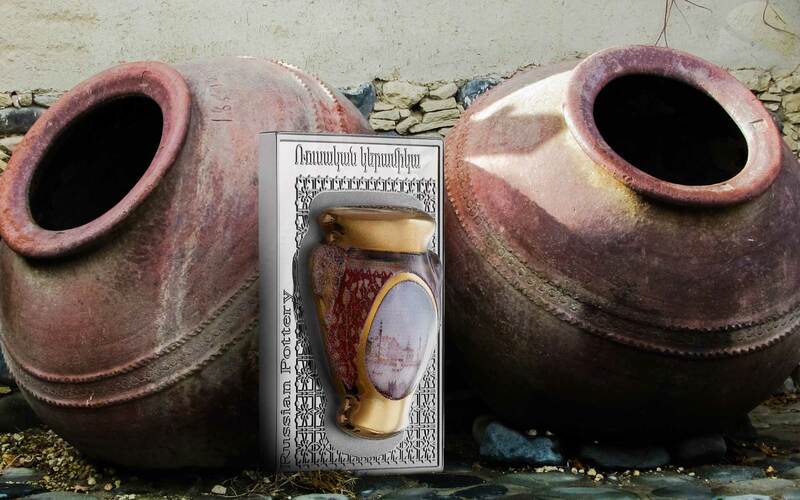 It was registered as a UNESCO Intangible Cultural Heritage in 2008. Oura Cathedral: This Western-style building, constructed in 1864, is the oldest extant church building in Japan, and has been designated as a National Treasure. It is also the historical site where the existence of hidden Christians (kirishitan), members of a community that had secretly practiced its faith throughout the approximately 250-year period from the 16th century to the mid-19th century when Christianity was strictly prohibited, was rediscovered when they confessed their faith, an event regarded as miraculous in the history of world religions. It is one of the sites comprising the Churches and Christian Sites in Nagasaki, which were proposed for inclusion on UNESCO’s list of World Heritage Sites in 2015. 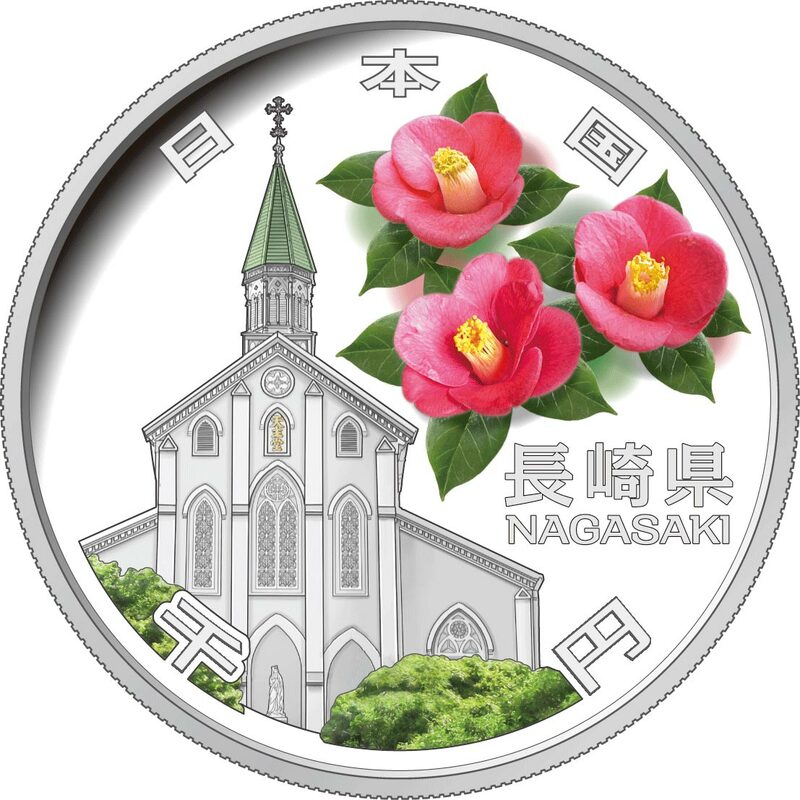 Camellias: The official flower of Nagasaki Prefecture, camellias are familiar to many as the prefectural symbol. Wild Japanese camellias (Camellia japonica) are widespread in the Goto Islands in particular, and they are one of the leading sources for camellia oil production in Japan. Tokyo Bay Aqua-Line: A 15.1-km toll highway opened in 1997 that crosses the central part of Tokyo Bay, the Tokyo Bay Aqua-Line links Kisarazu in Chiba Prefecture with Kawasaki in Kanagawa Prefecture on the other side of the bay in just 15 minutes. The 4.4-km bridge on the Kisarazu side is Japan’s longest, and joins a tunnel extending approximately 9.5 km from the Kawasaki side. The bridge and tunnel link up at Umihotaru (the artificial island of Kisarazu), which offers a 360º panoramic view of the sea that is particularly beautiful at sunrise, sunset, and at night. With 7.8 million visitors in 2013, it is one of Chiba Prefecture’s best-known tourist destinations. Nanohana Mustard Flowers: Nanohana is the general name for the flowers of plants in the Brassicaceae family. It is familiar to many as the prefecture’s official flower, chosen in a public vote in 1954. Hideyo Noguchi: A prominent bacteriologist from Fukushima Prefecture, who was engaged in bacteriological study at the Rockefeller Institute for Medical Research and is well-known for his work on yellow fever, syphilis and other diseases. During his research on yellow fever in Accra, Ghana, he himself contracted the disease and died there at the age of 51. Bandaisan (Mt. Bandai): Located in Inawashiro Town, Bandai Town and Kitashiobara Village, in the Yama District of Fukushima Prefecture, Mt. Bandai has been named one of the hundred most famous mountains in Japan. Sometimes called Aizu Fuji or Aizu Bandaisan, the mountain is a landmark of Fukushima. Inawashiroko (Lake Inawashiro): Located in the cities of Aizuwakamatsu and Koriyama, as well as in Inawashiro Town in the Yama District of Fukushima Prefecture, Lake Inawashiro is the fourth largest lake in Japan. Lying nearly in the center of the prefecture, it is one of Fukushima’s most famous landmarks. The lake was recognized as the lake with the best water quality in Japan four years in a row from 2002 to 2005. Tokyo Tower: Built in 1958, Tokyo Tower stands 333 meters high, and was registered in 2013 as a national tangible cultural property. 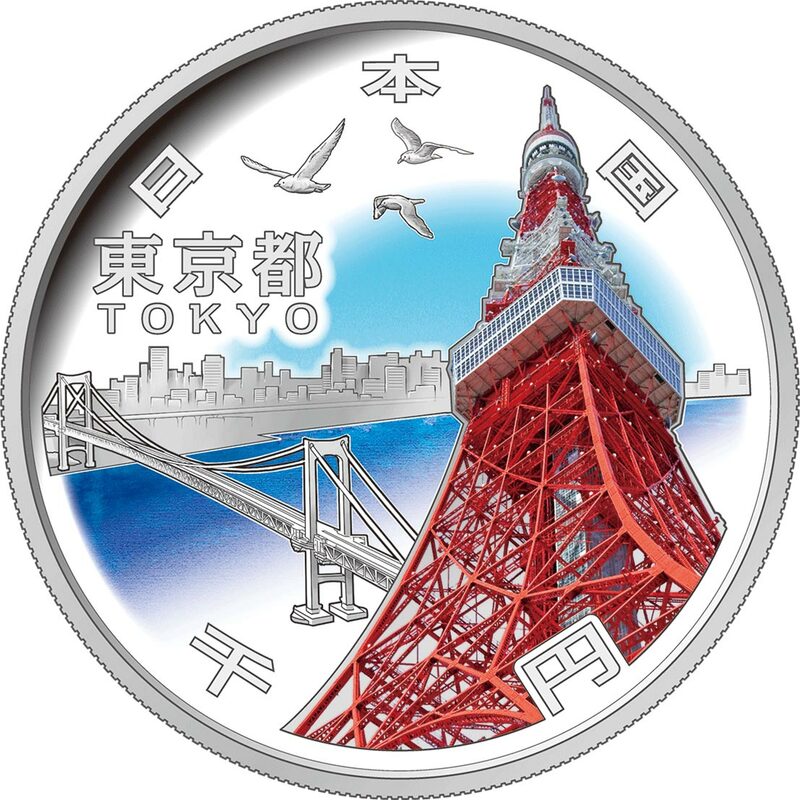 Seagulls: Yurikamome, or the ‘black-headed seagull,’ has been designated as Tokyo’s official prefectural bird.